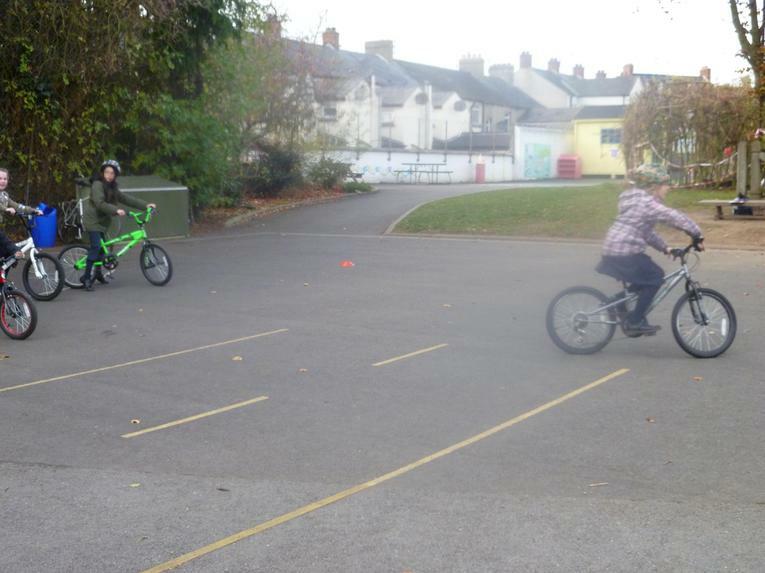 LOOK AT HOW MUCH WE HAVE CHANGED OVER THE PAST FEW YEARS! 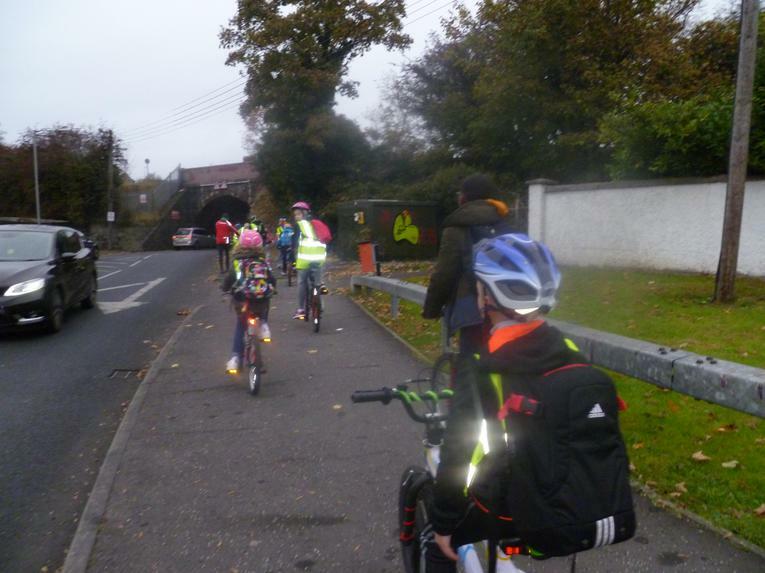 Overall active modes have gone from 41.1% in 2016/17 to 47.6% in 2017/18 to 49.1% in 2018 which is really pleasing. 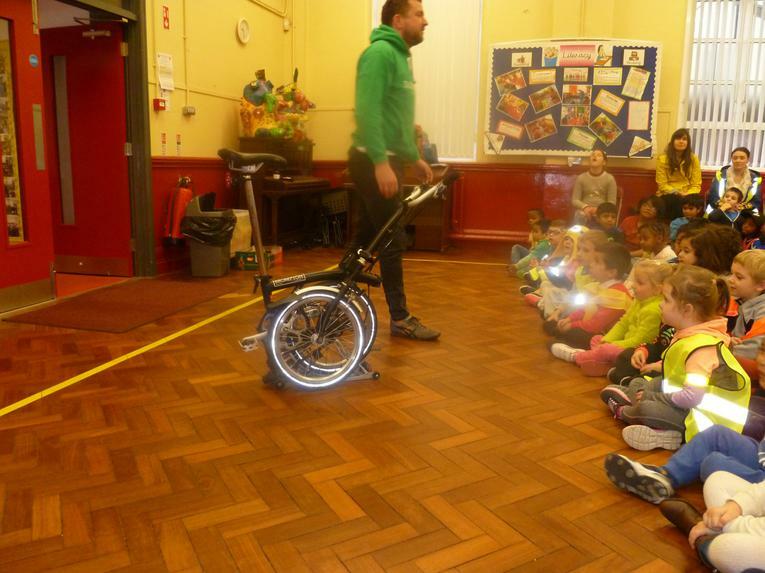 We really hope our methods of travelling will continue to improve in walking/biking and scooting in 2019 as we aim for our GOLD SUSTRANS AWARD! 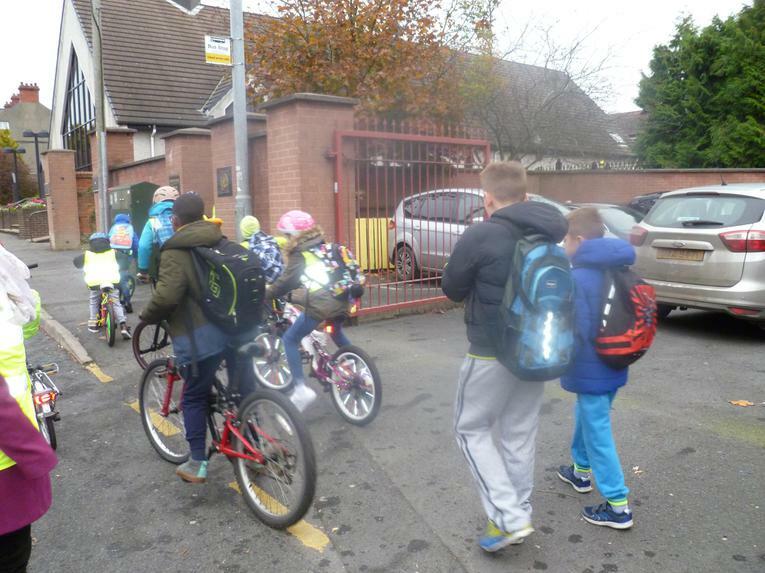 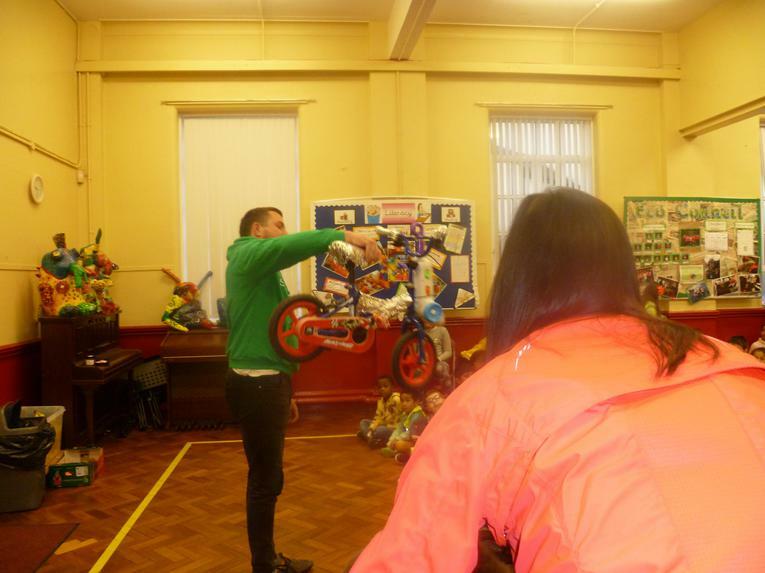 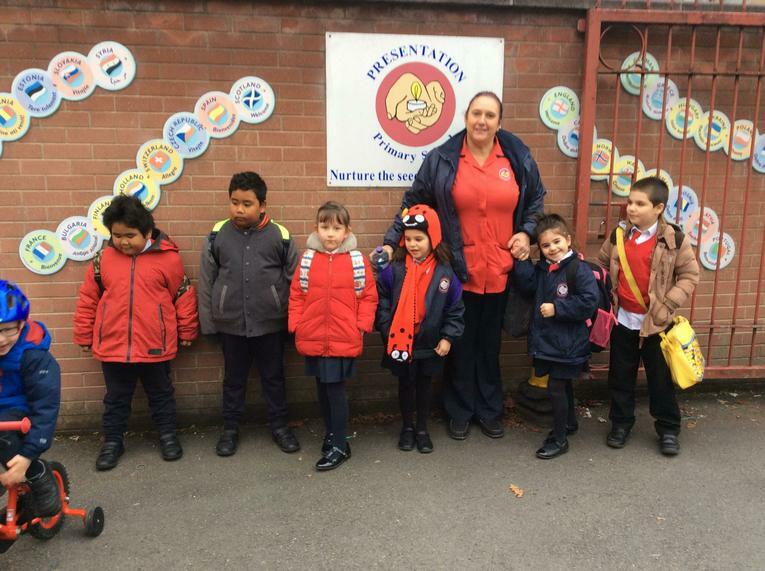 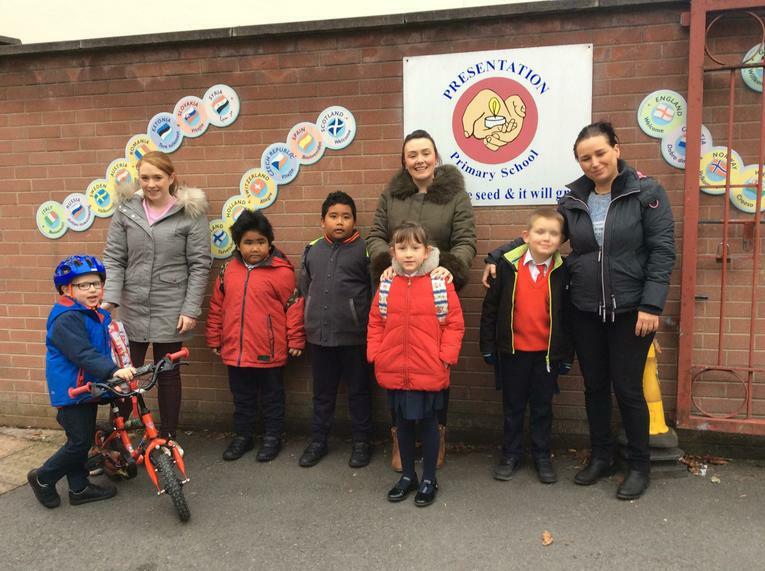 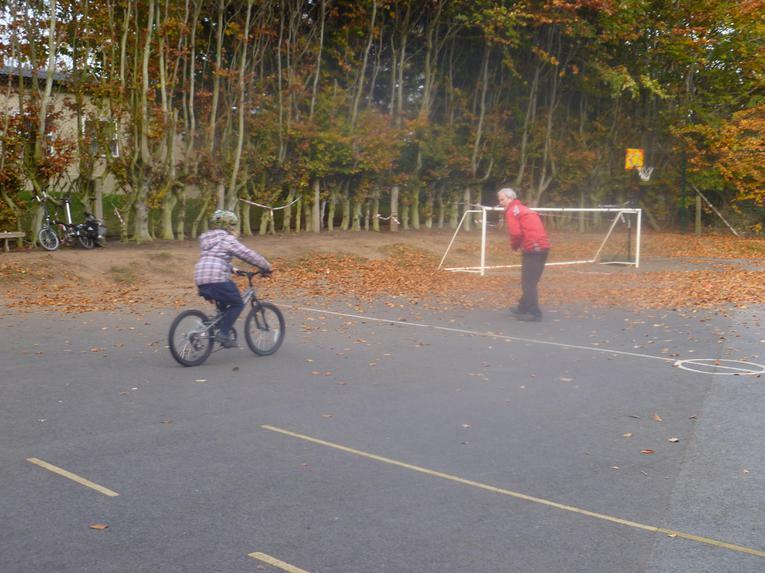 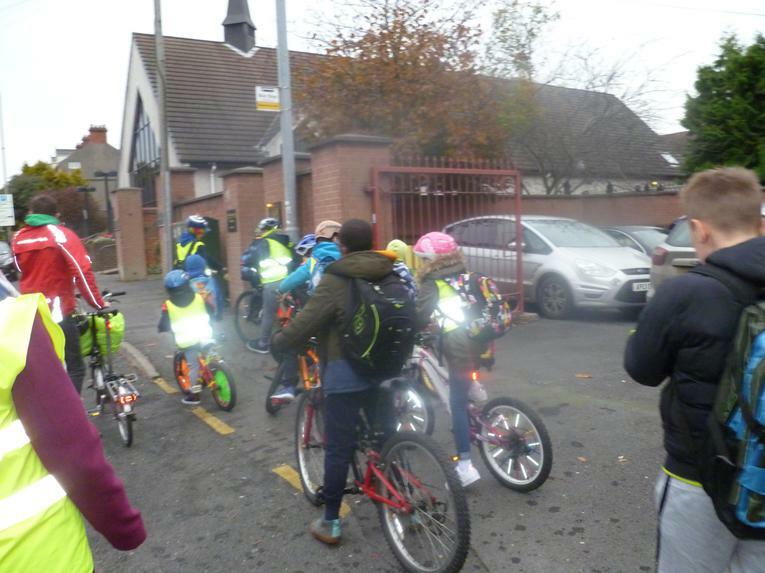 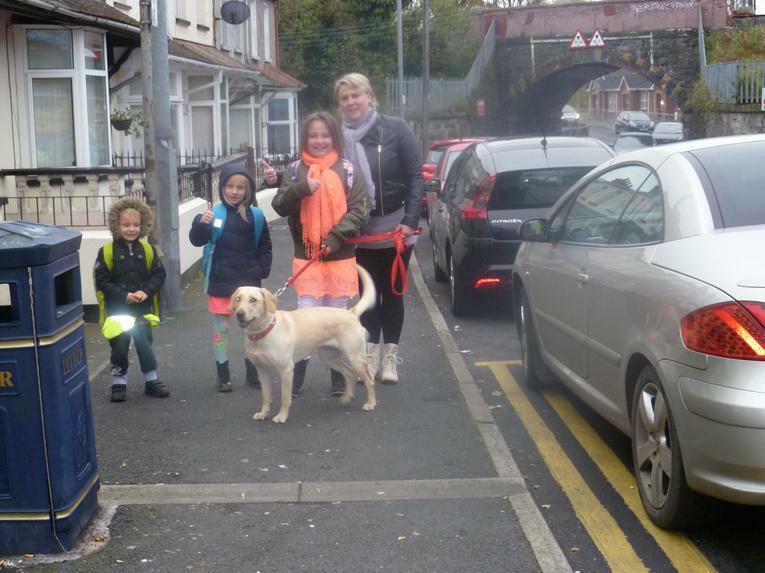 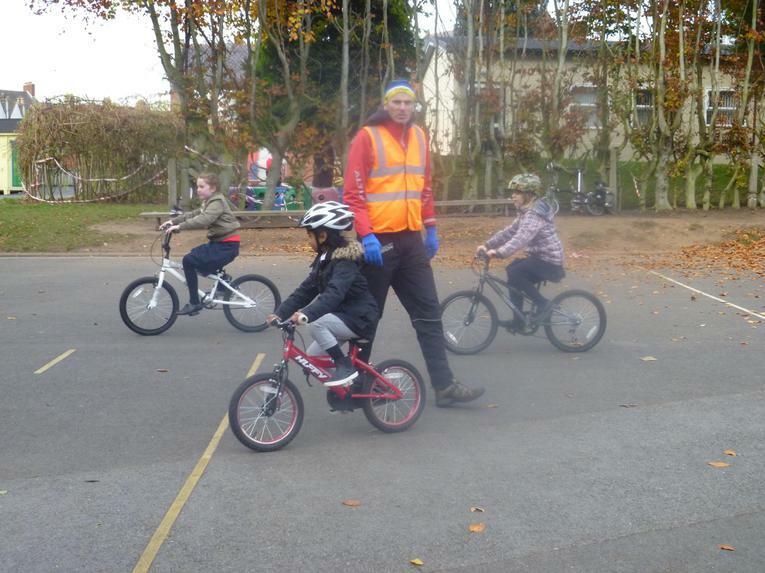 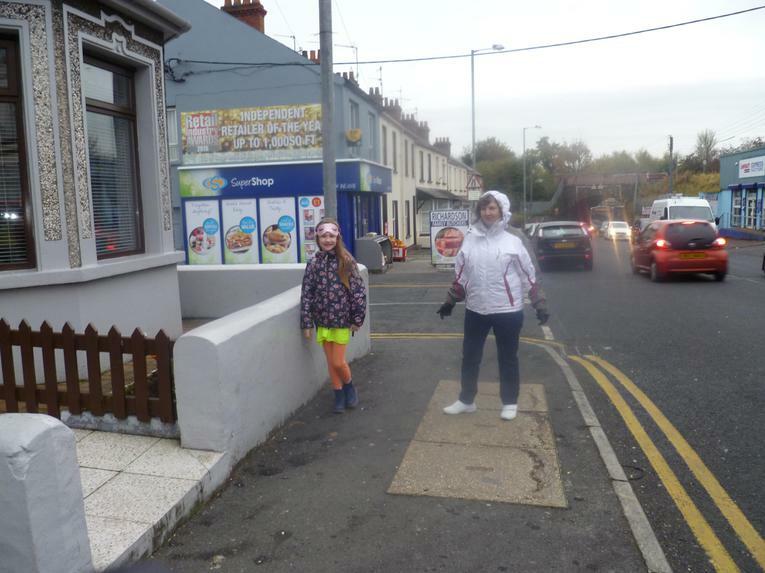 Thanks to all parents and pupils for choosing alternative ways to come to school rather than coming in the car or bus. 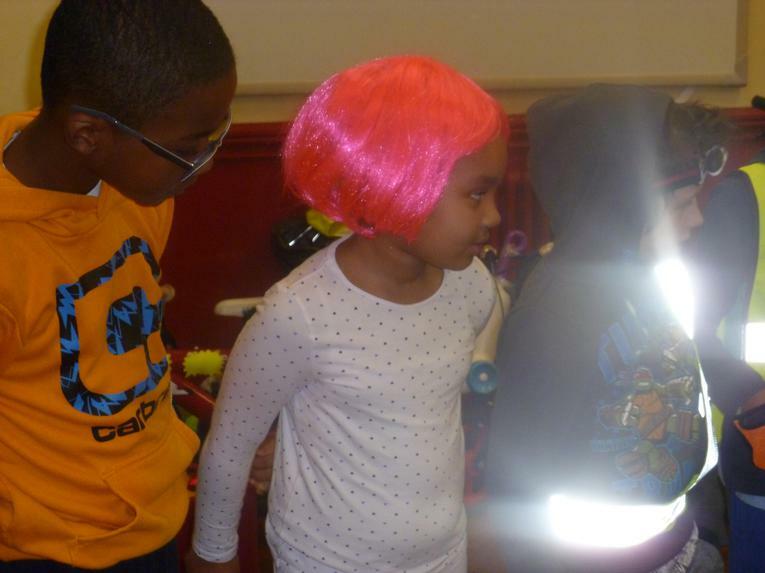 How can YOU get to Santa?? 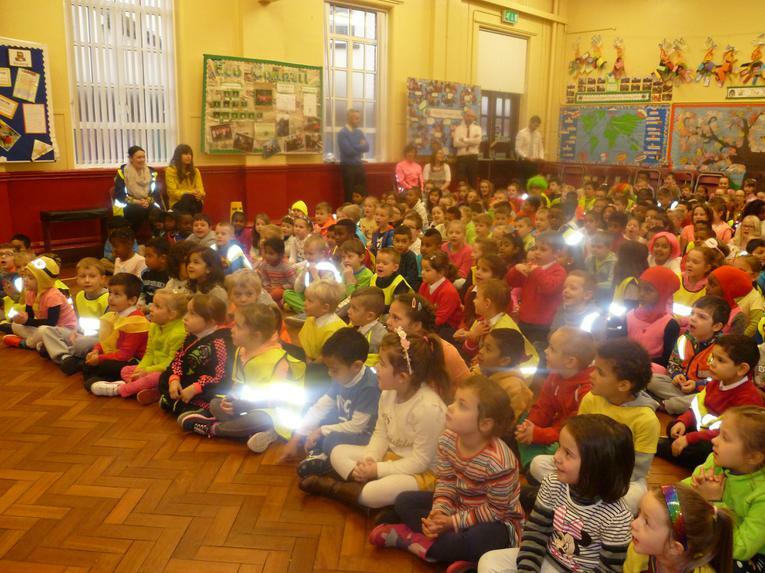 * The challenge begins on Monday 19th November and finishes on Friday, 14th December. 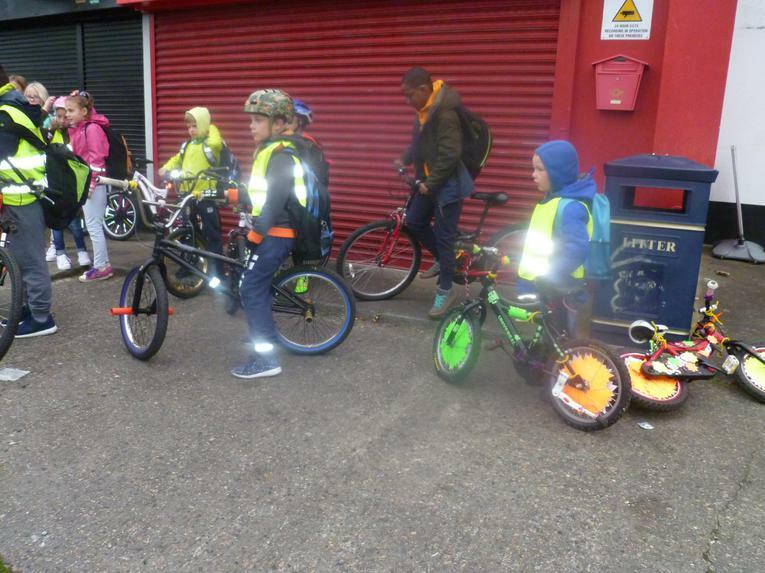 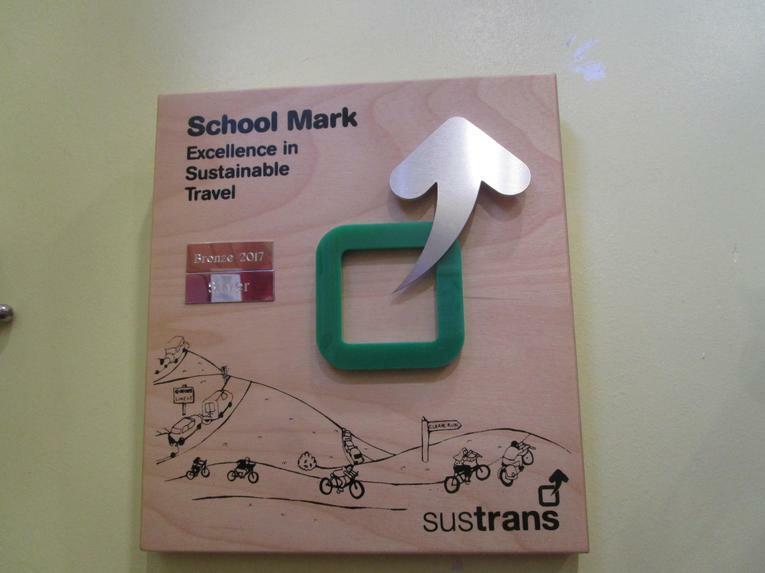 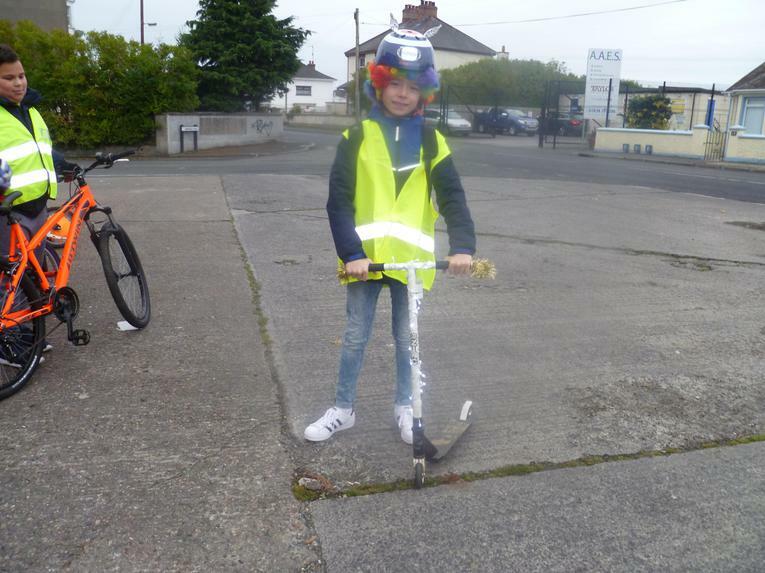 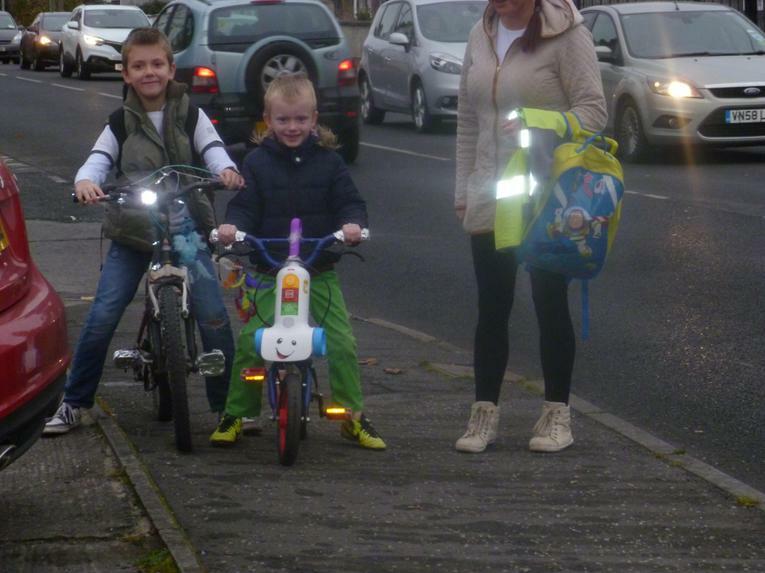 * Make sure you get your journey marked off each day you cycle , scoot or walk to school. 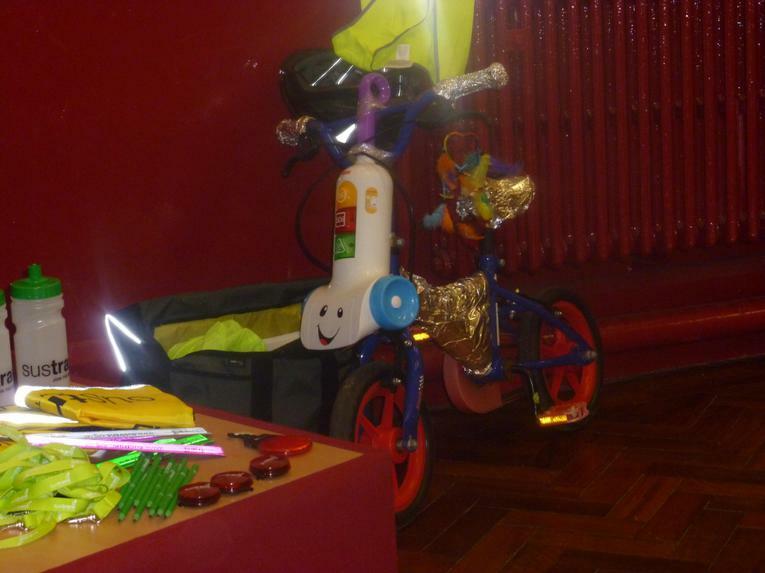 * 15 active journeys to school will get you to Santa and a chance to win a prize from Santa’s workshop! 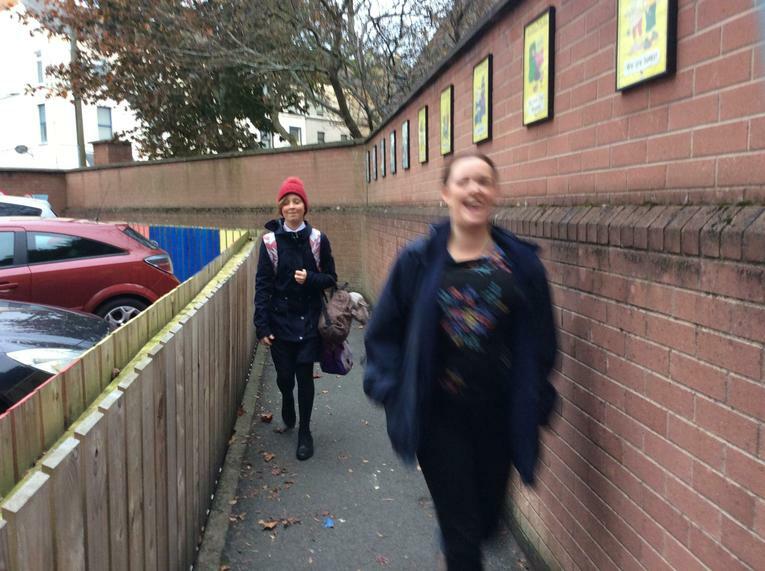 Thanks to all the people who walked to school today ! 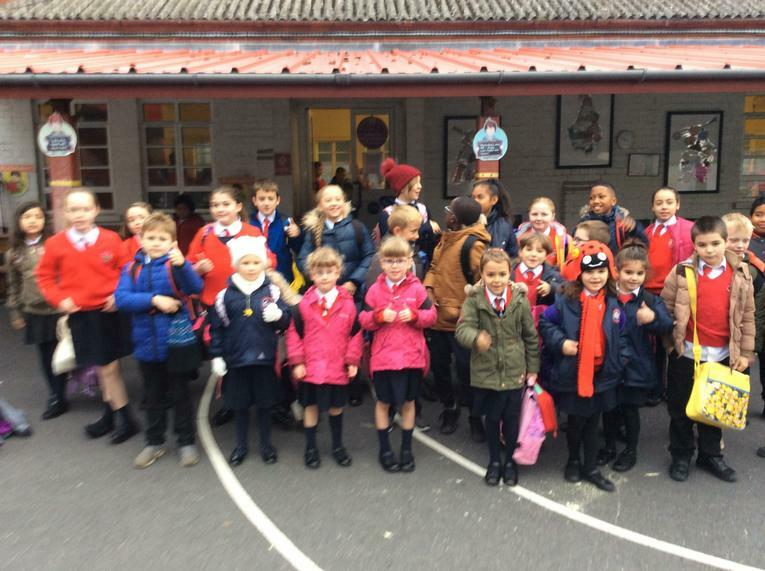 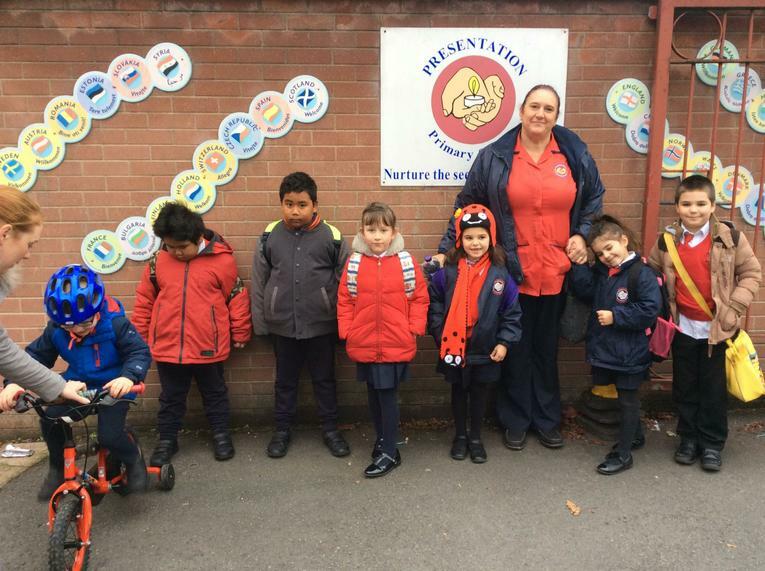 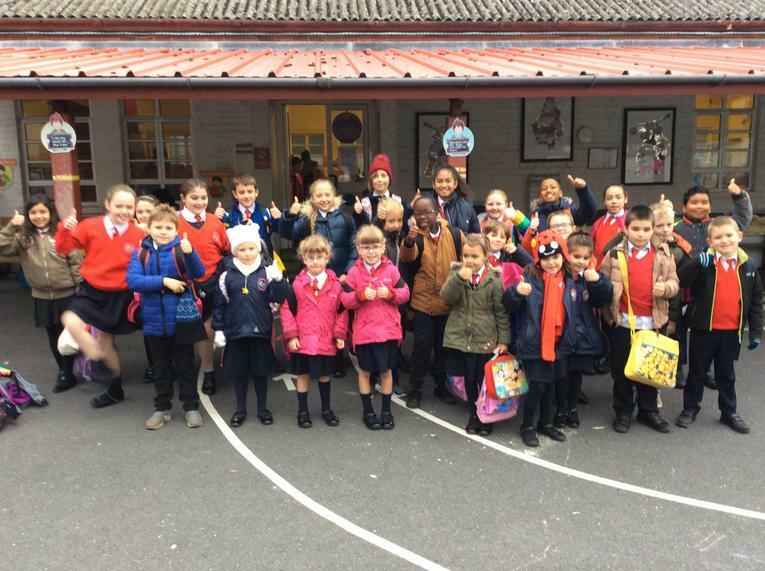 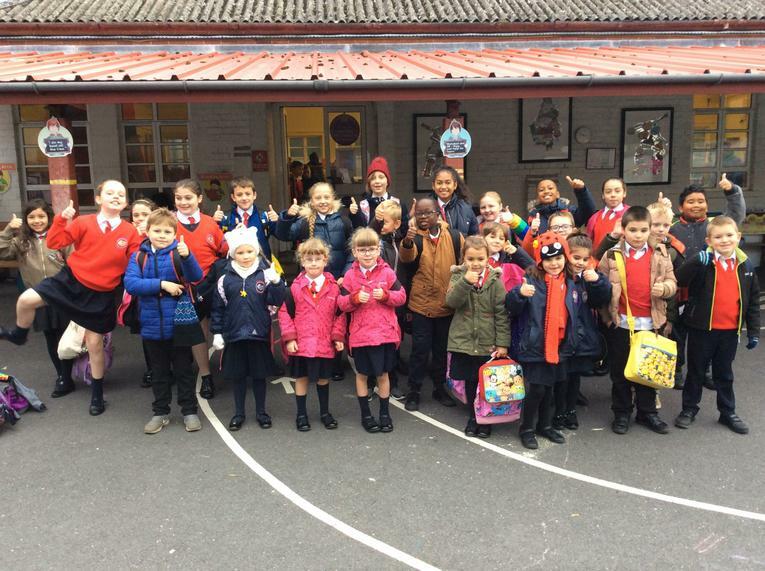 November 2017 We achieved our BRONZE AWARD!! 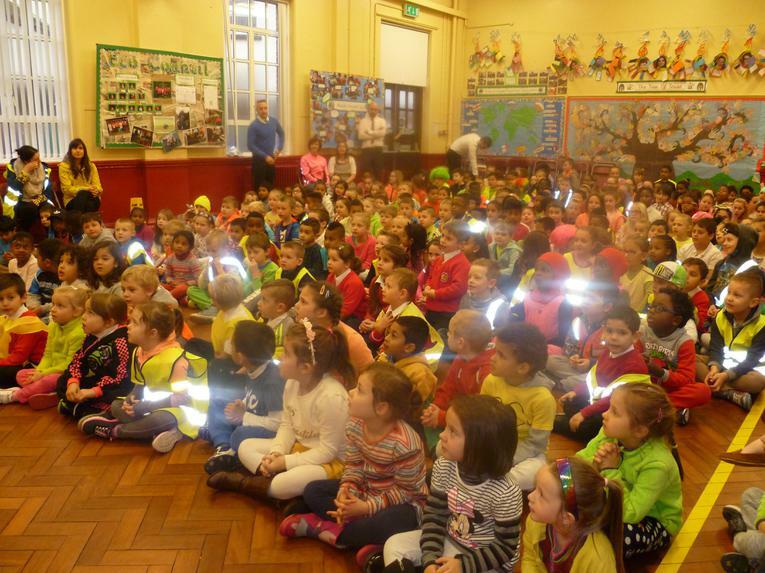 We held a very special Ditch the Dark assembly. 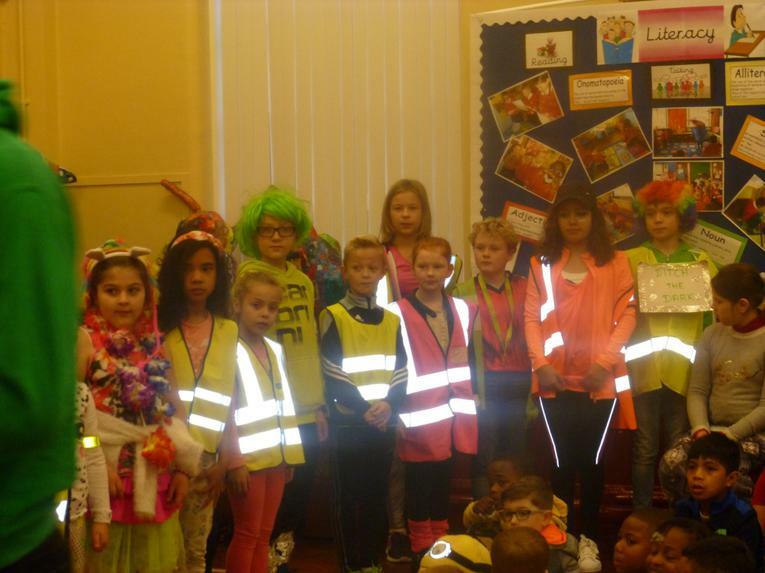 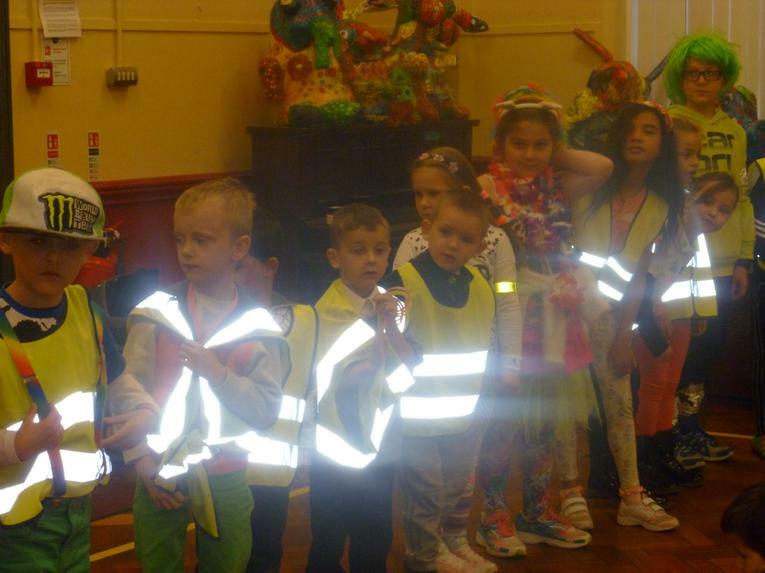 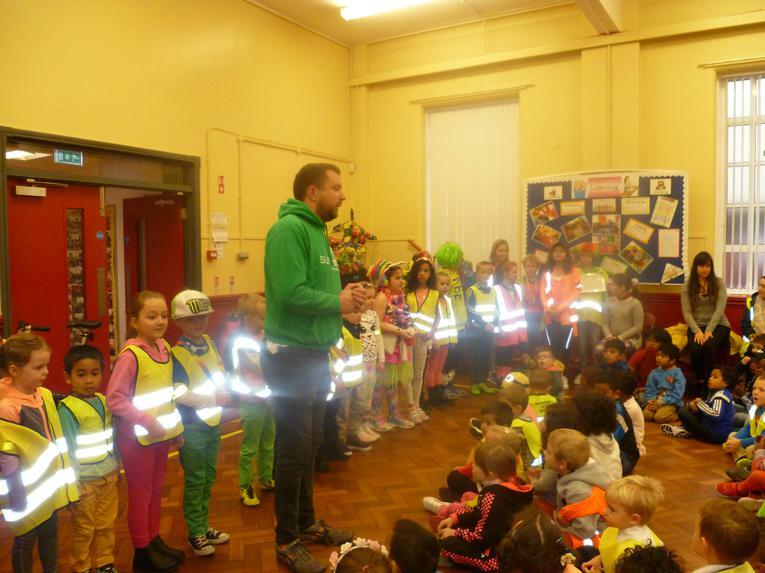 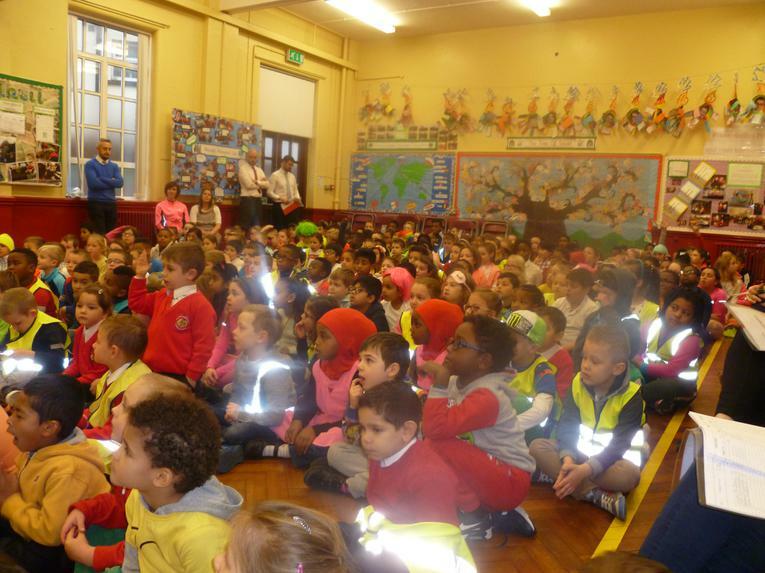 All pupils put so much effort into their bright costumes for this special day. 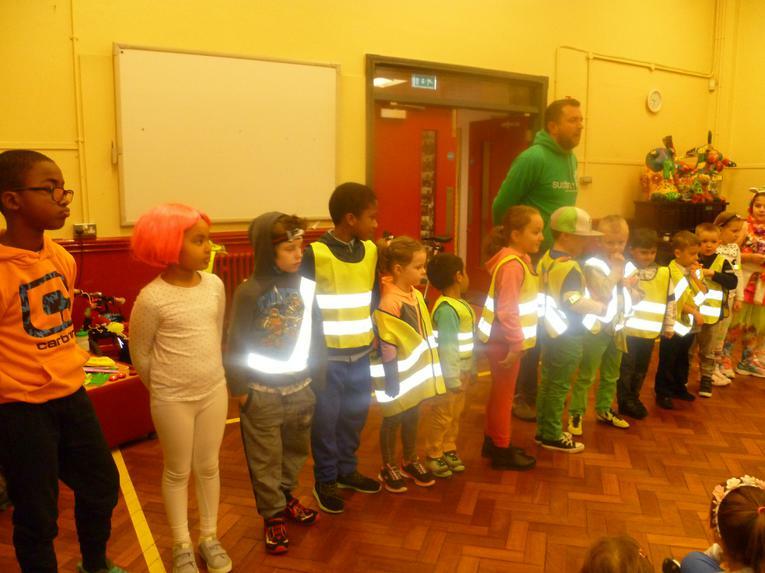 You were FABULOUS! 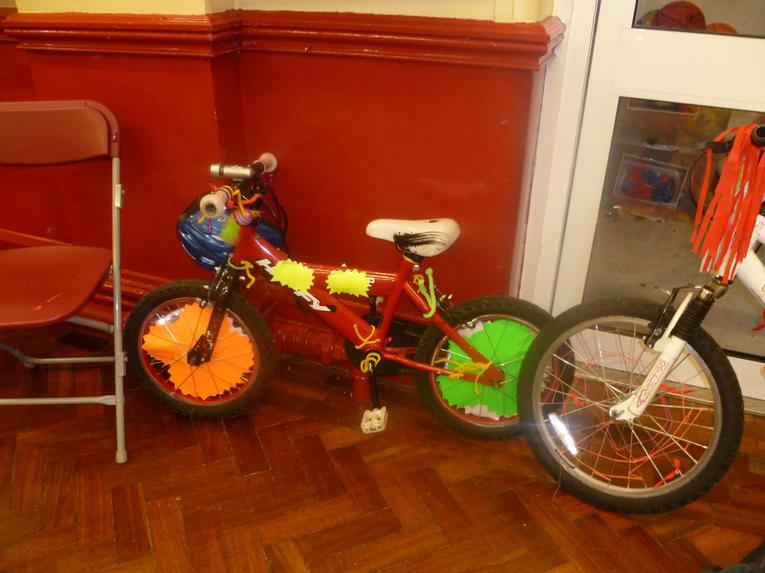 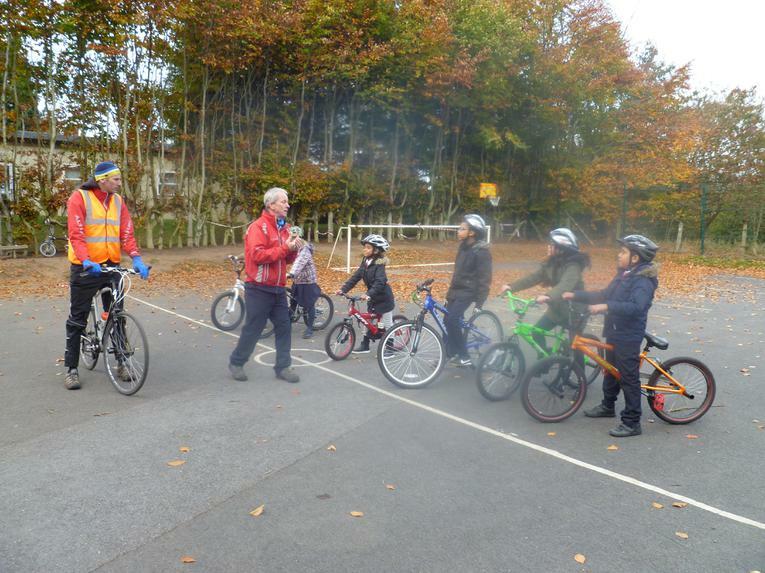 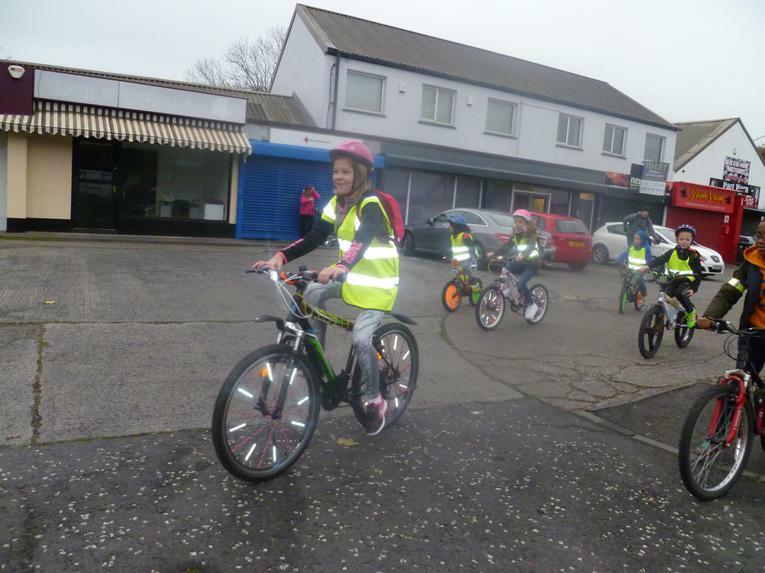 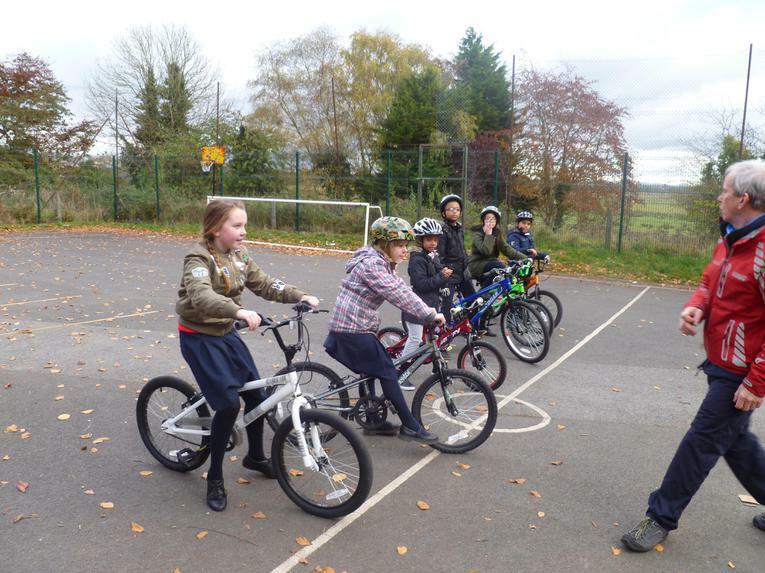 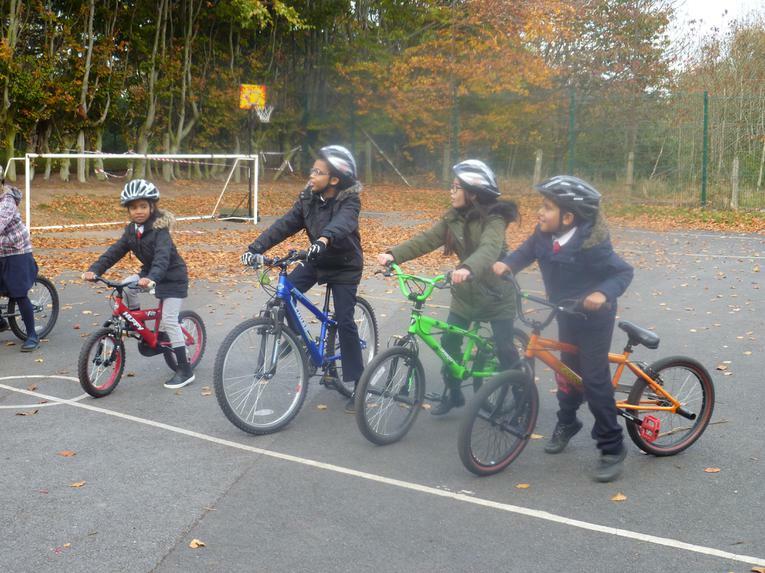 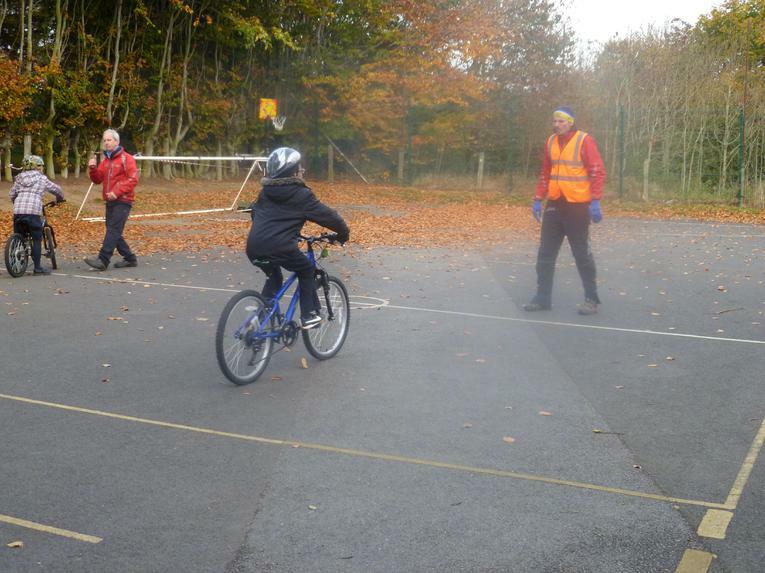 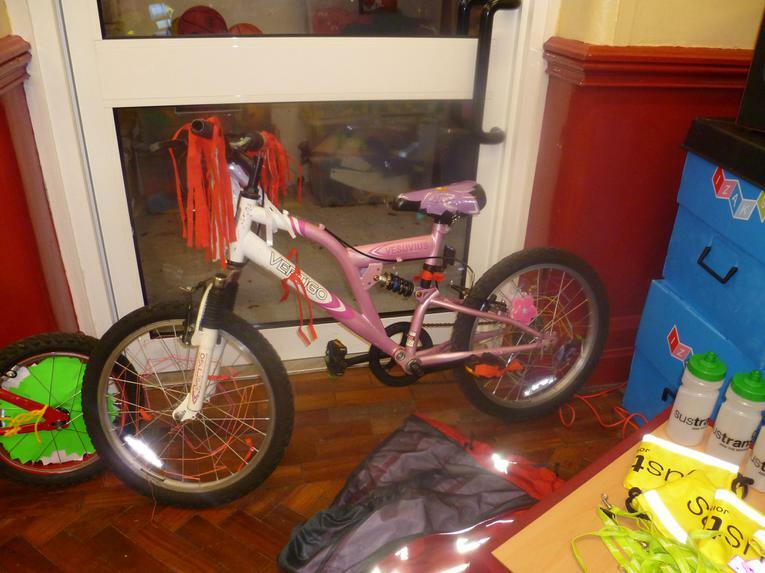 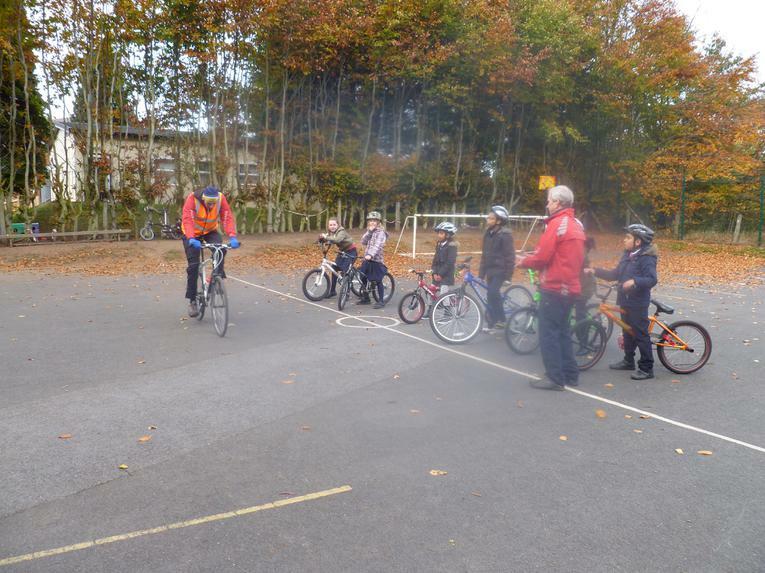 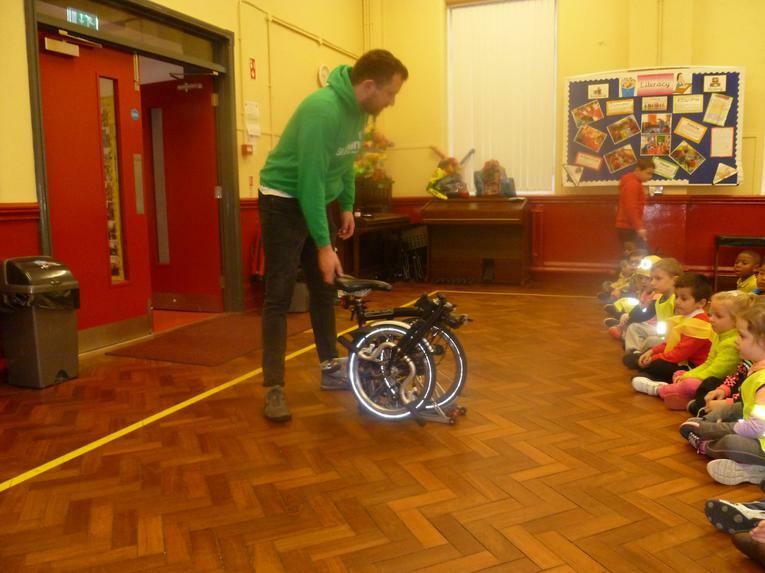 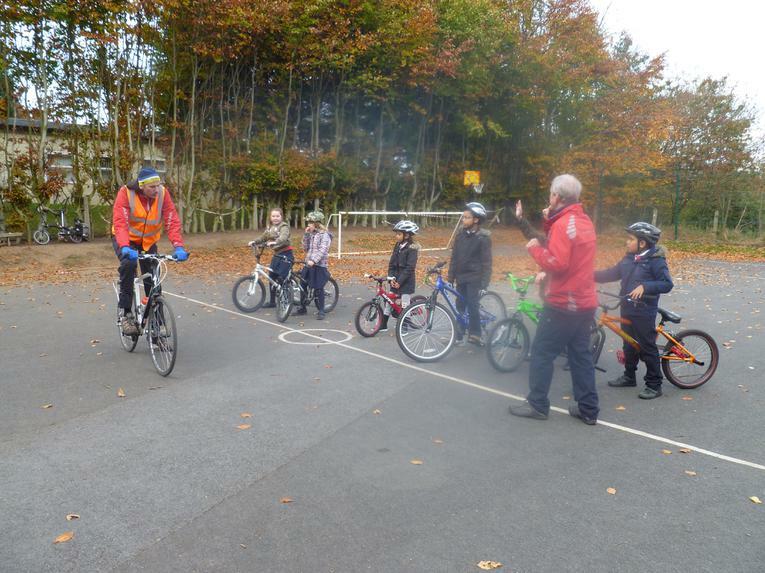 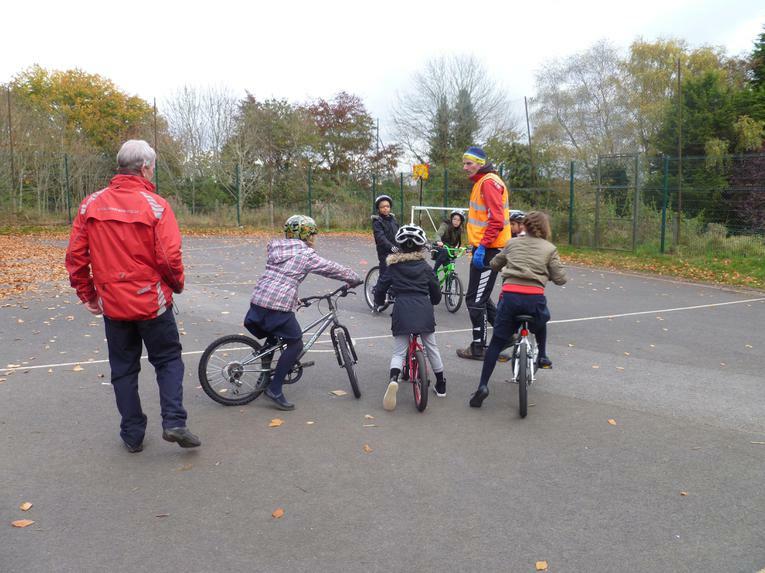 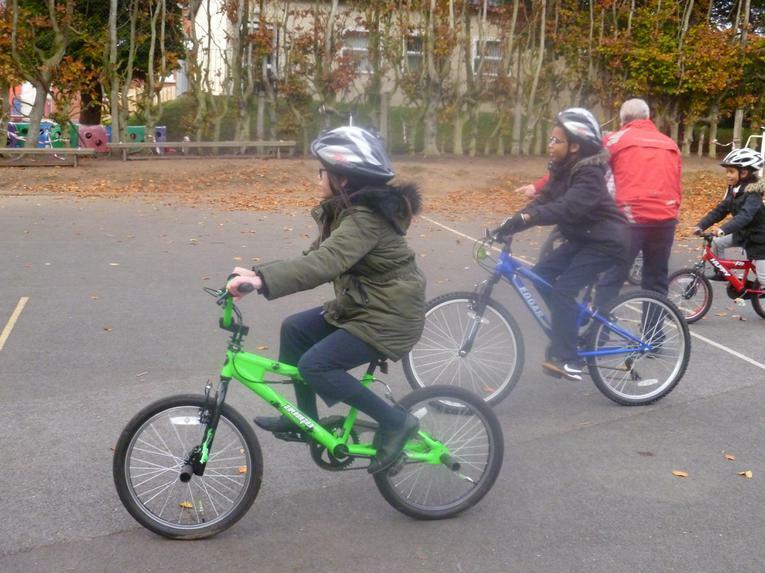 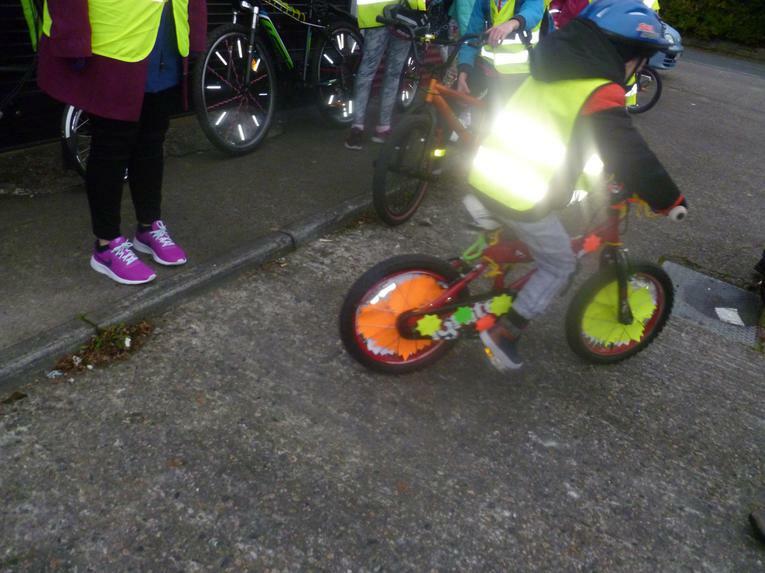 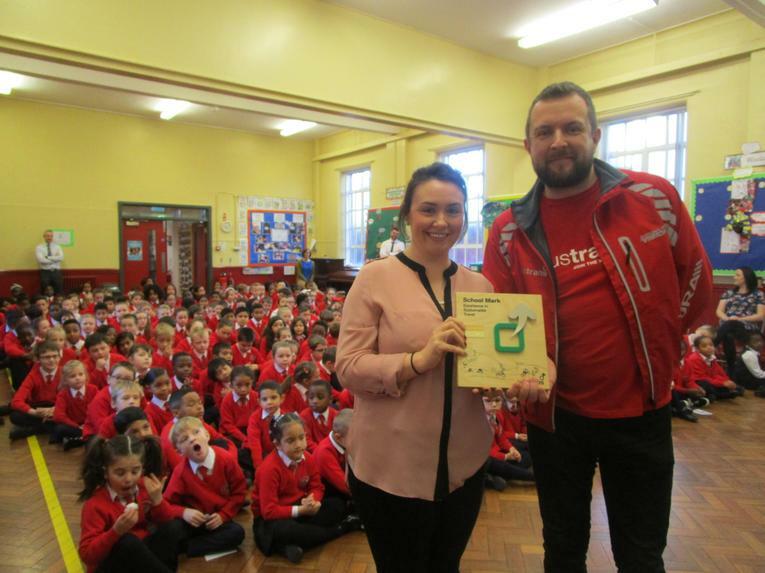 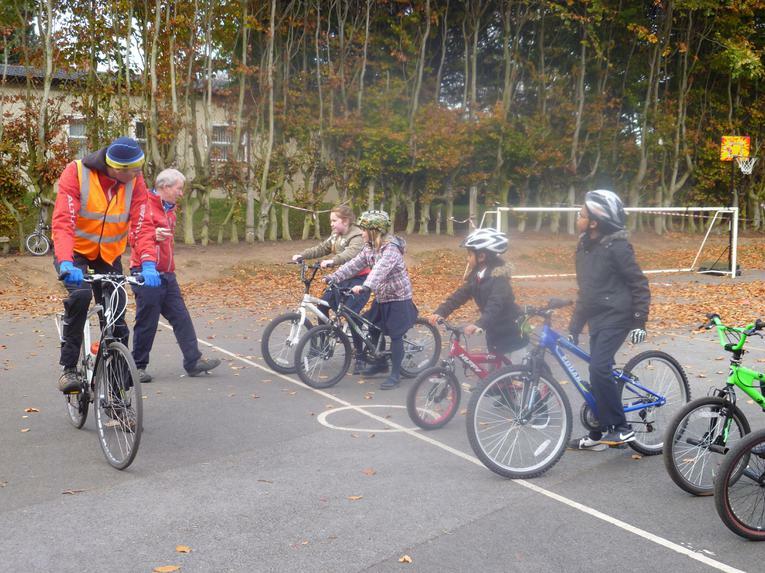 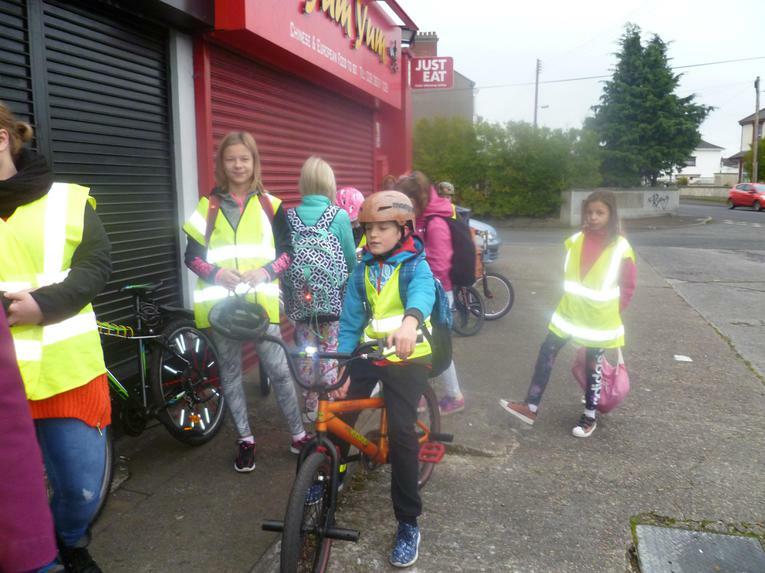 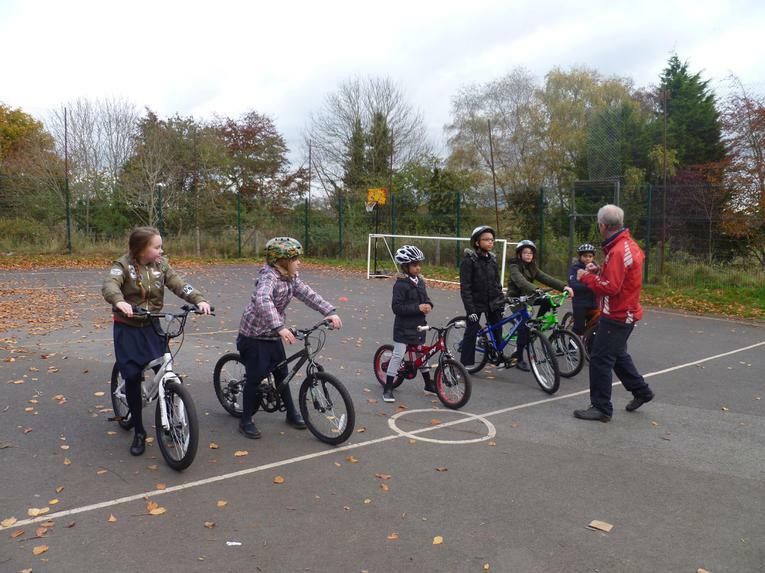 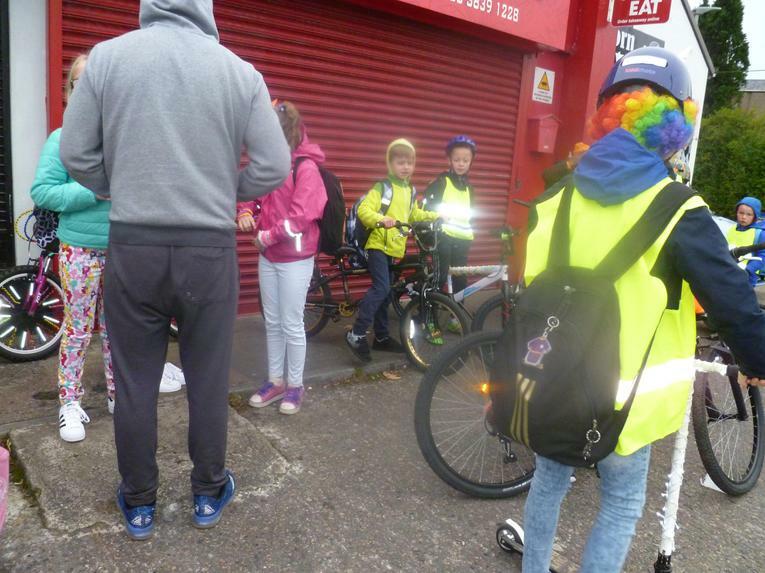 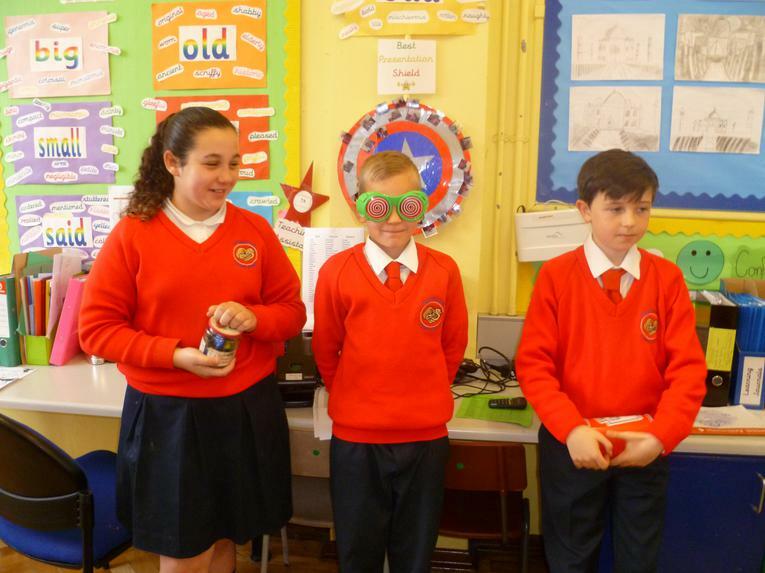 Some P6 and P7 pupils received free bicycle training courses. 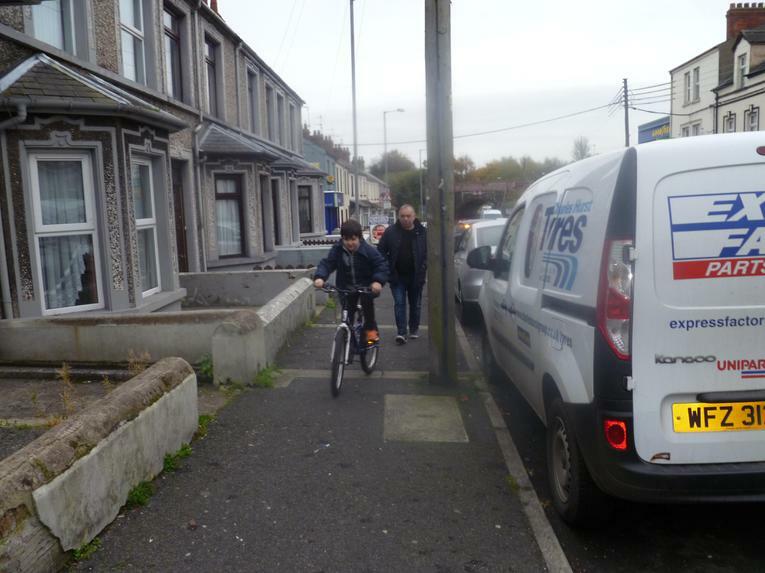 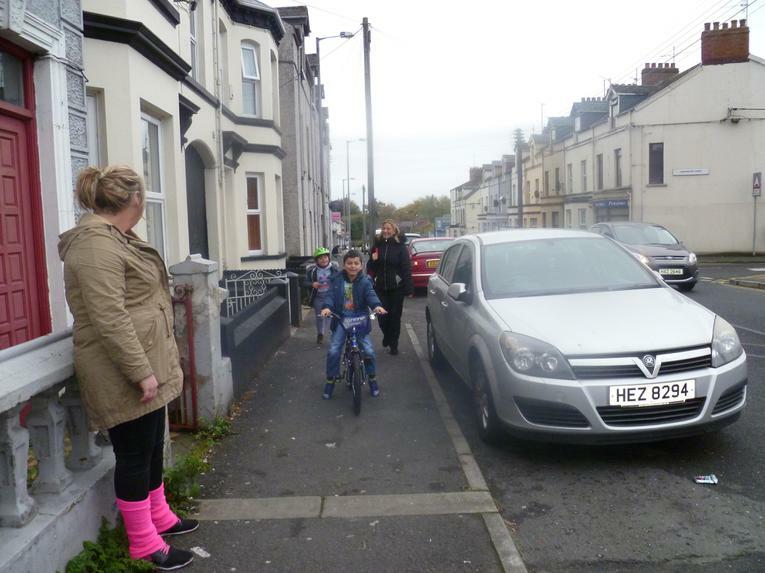 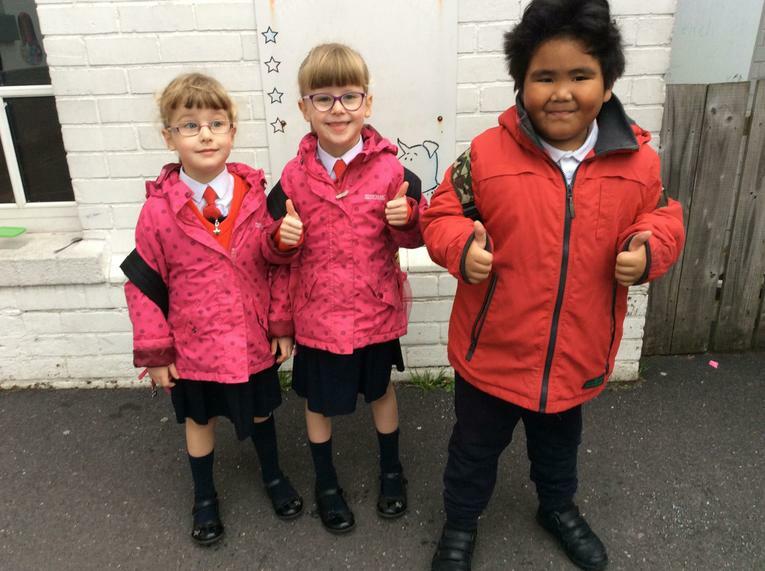 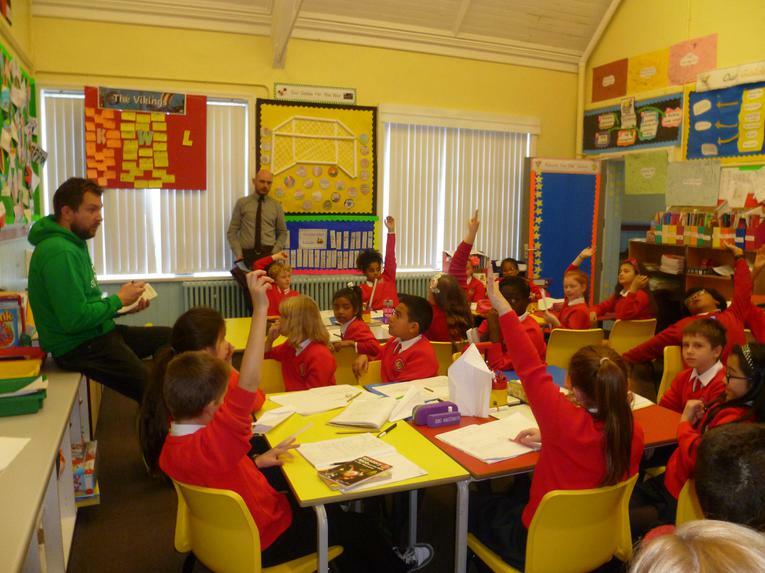 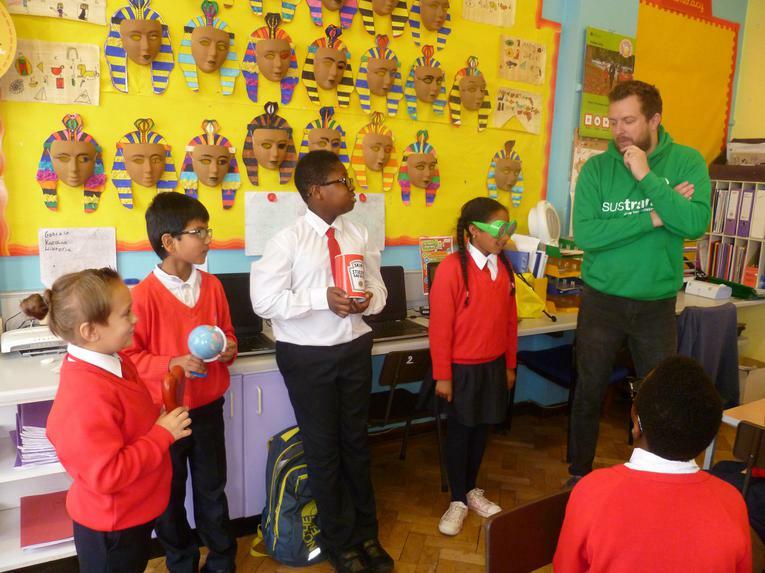 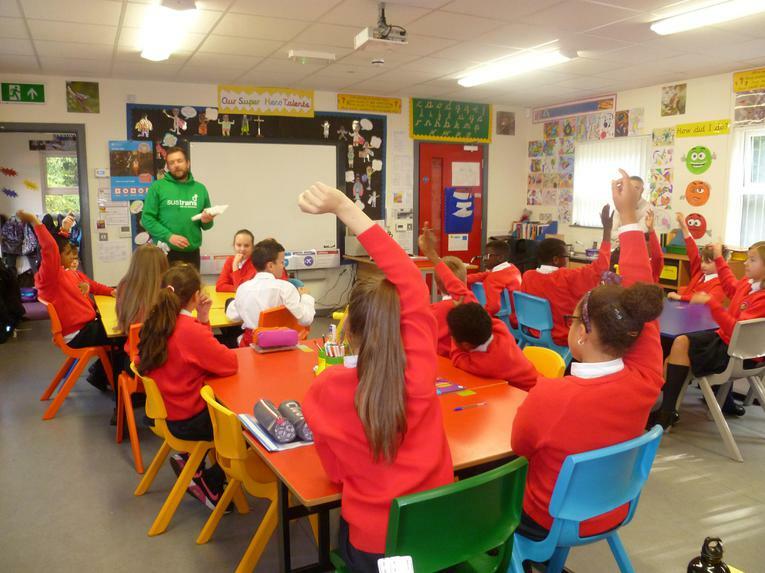 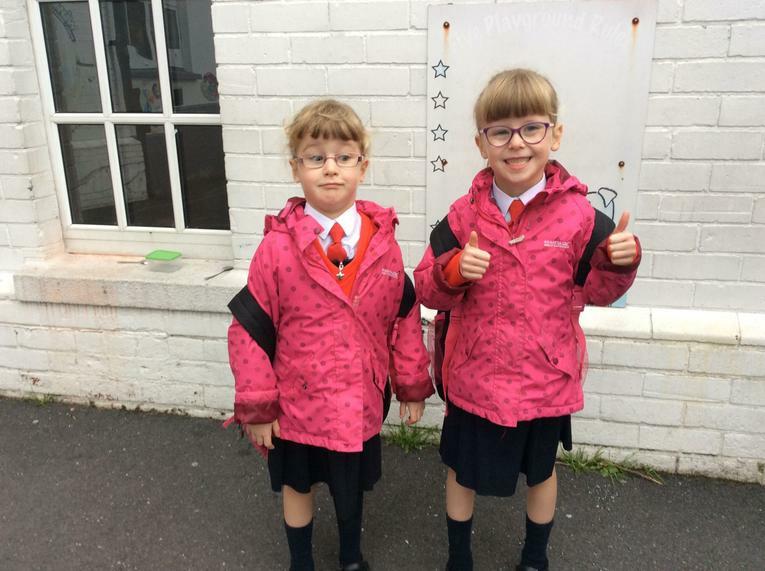 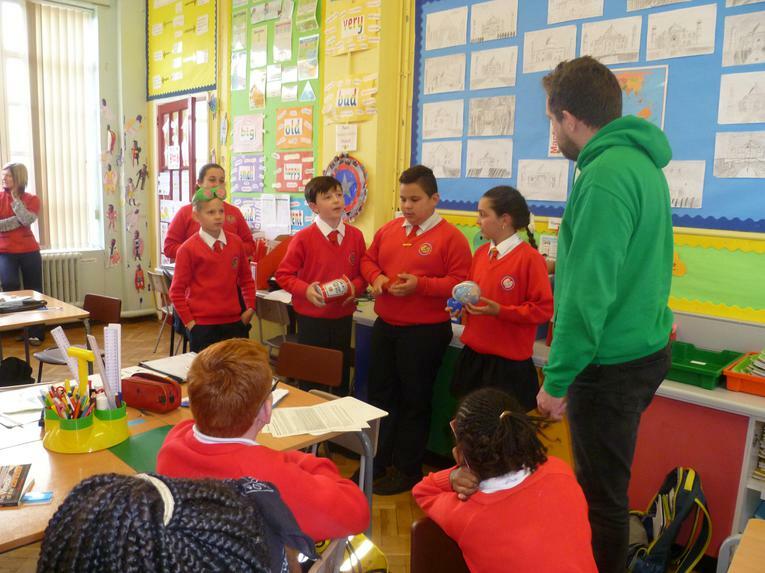 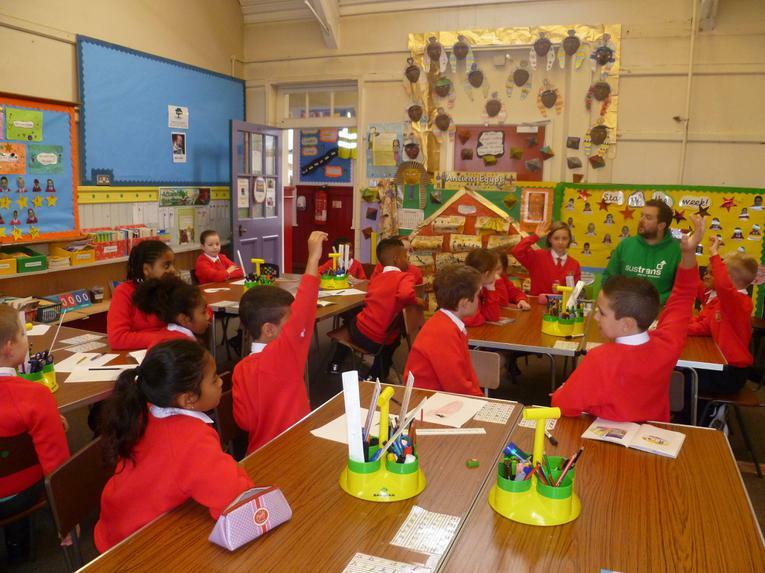 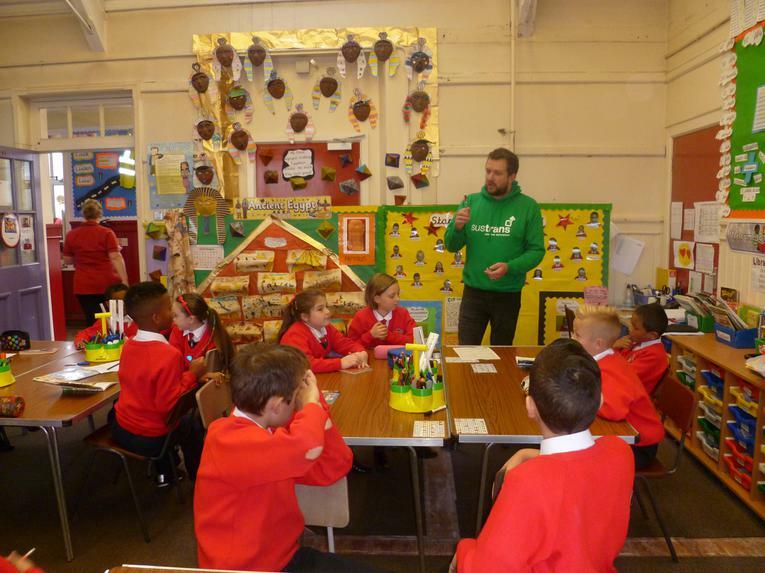 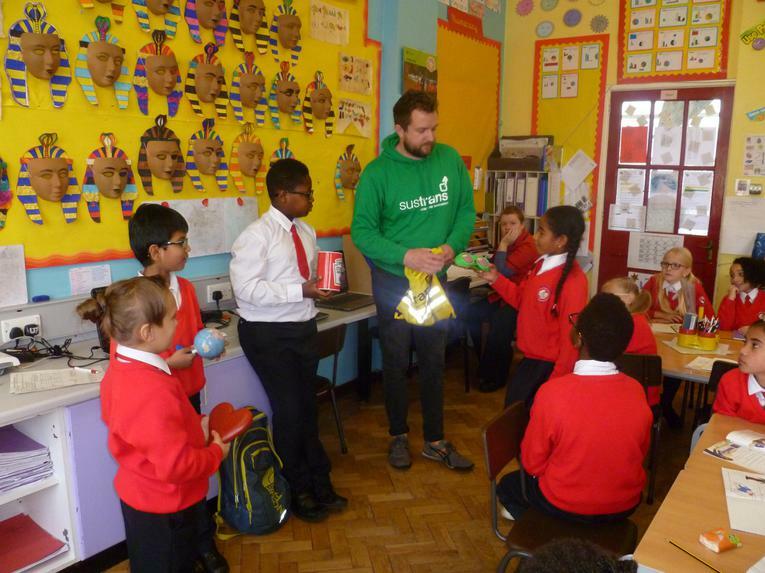 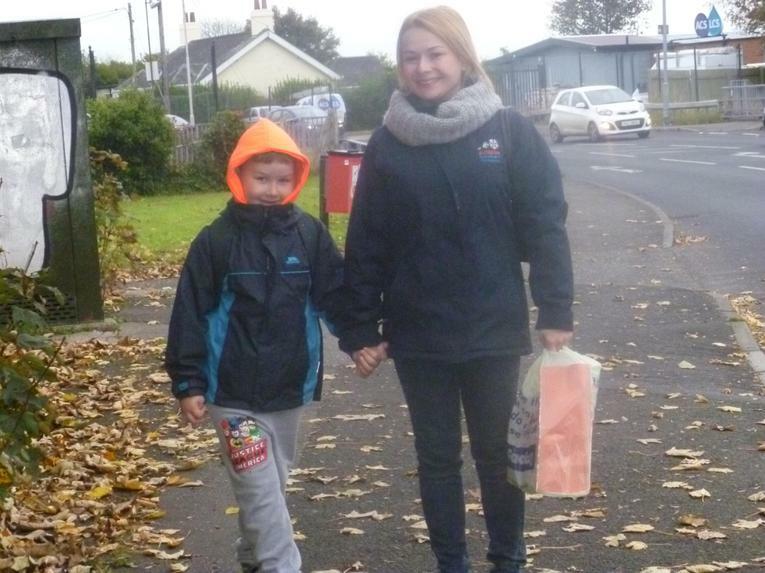 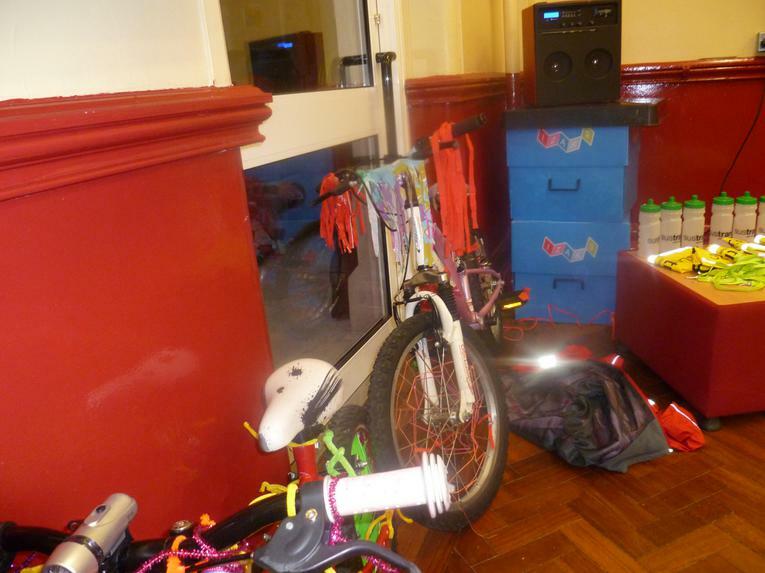 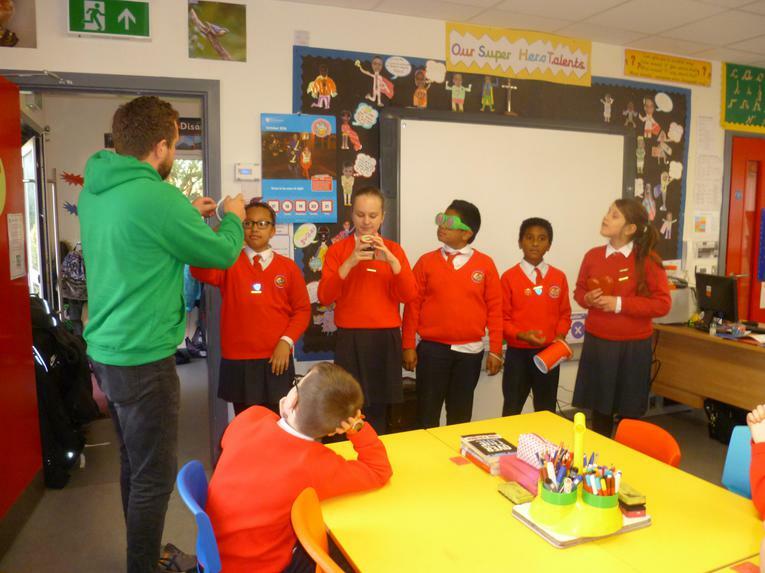 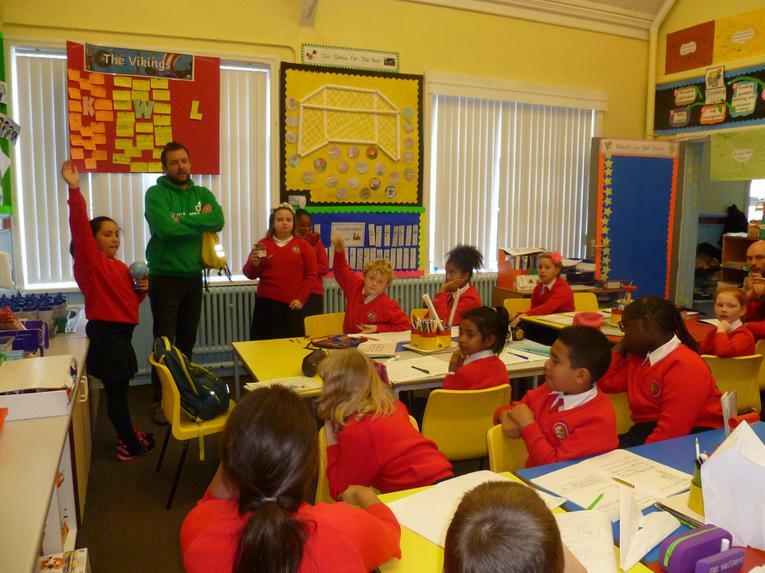 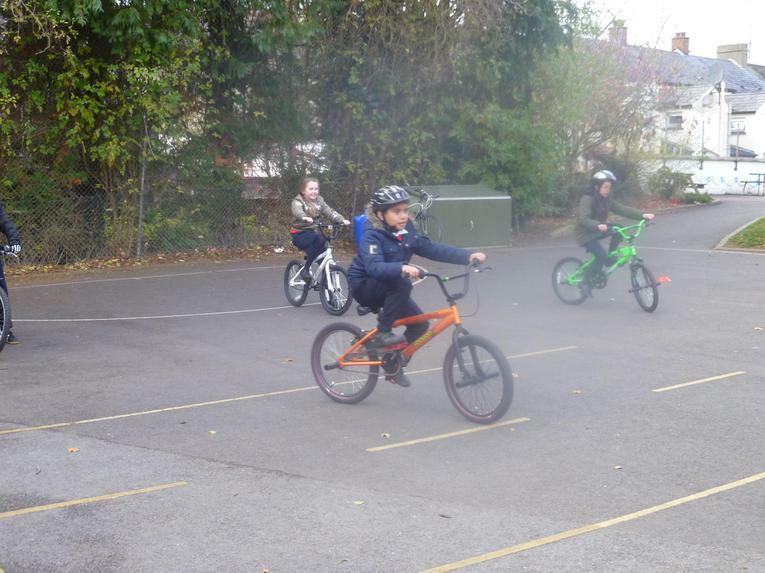 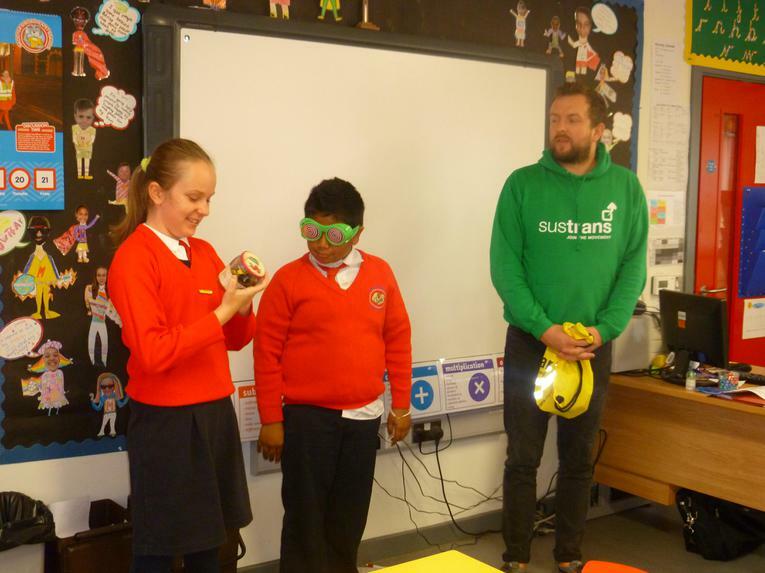 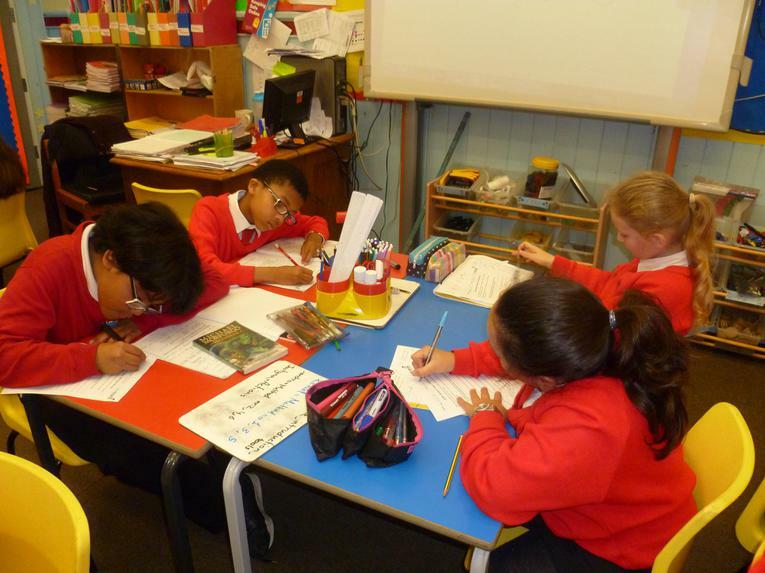 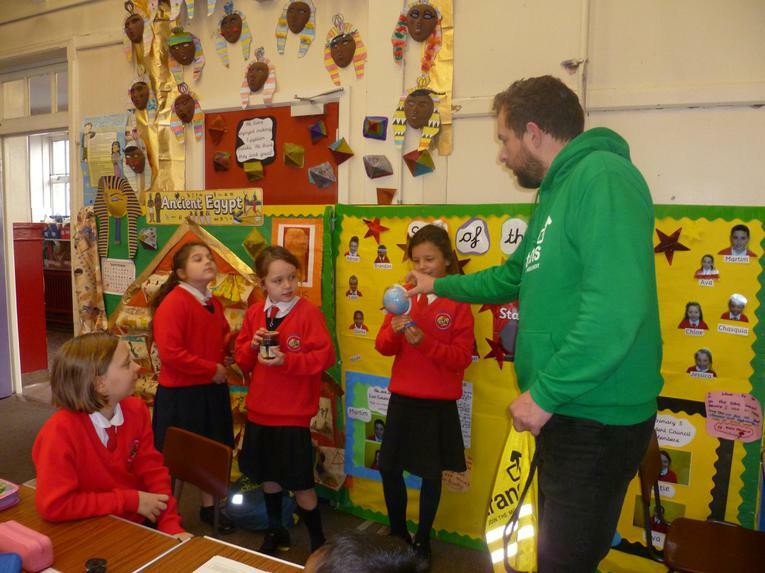 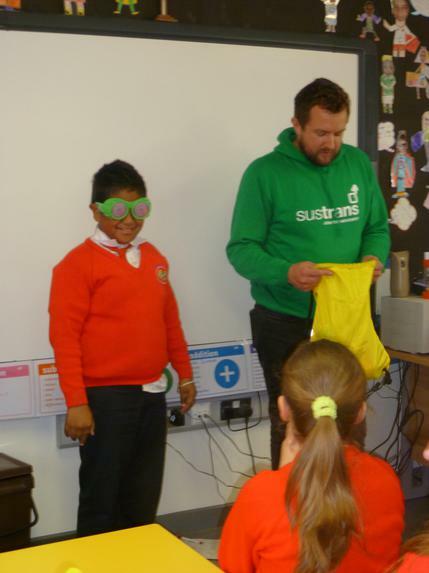 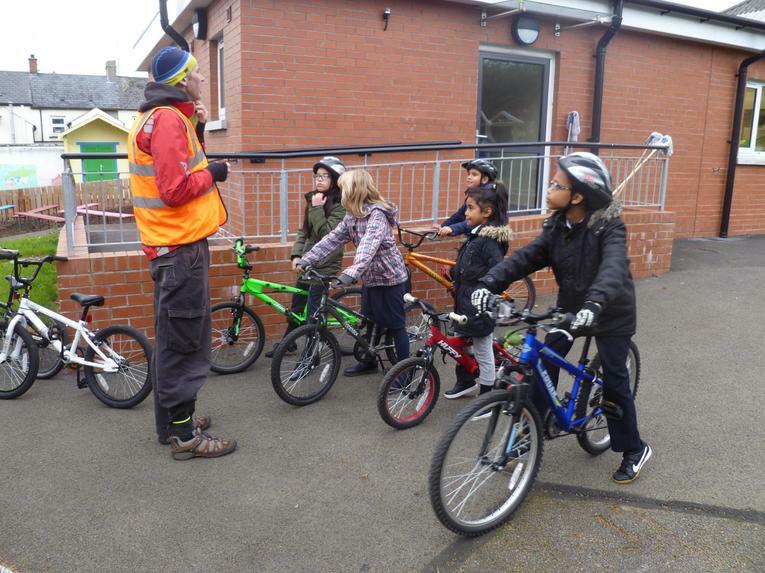 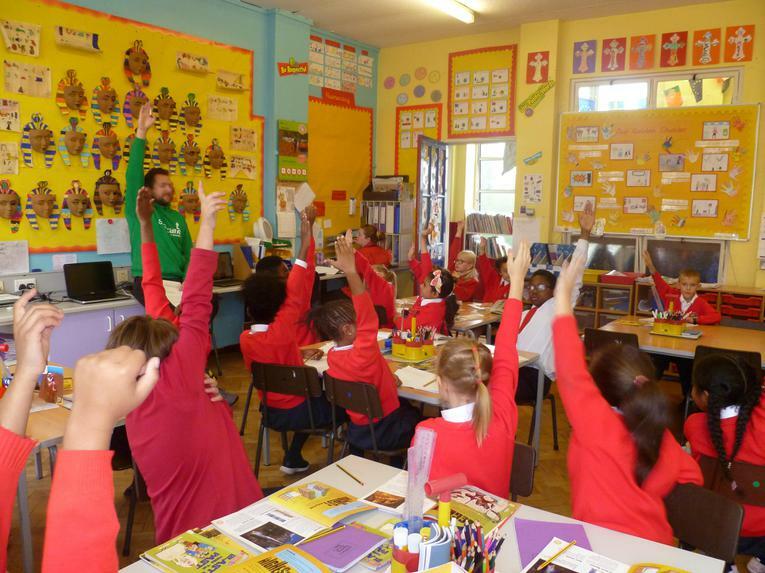 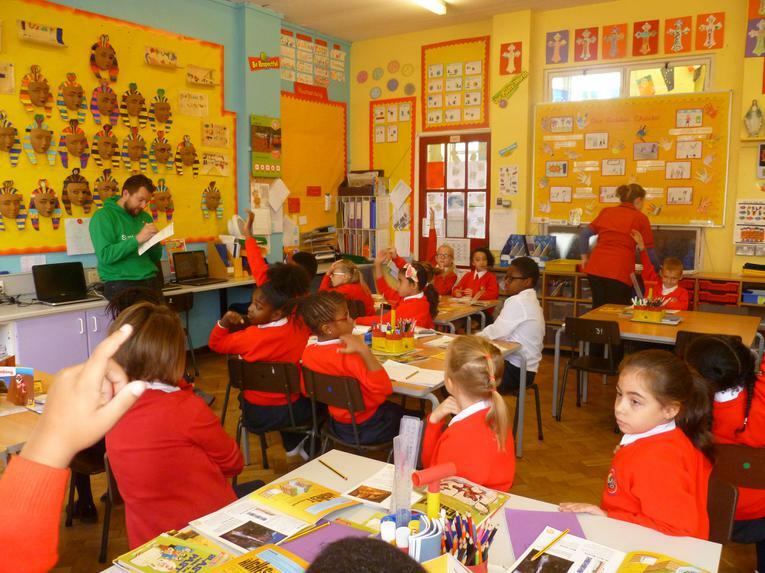 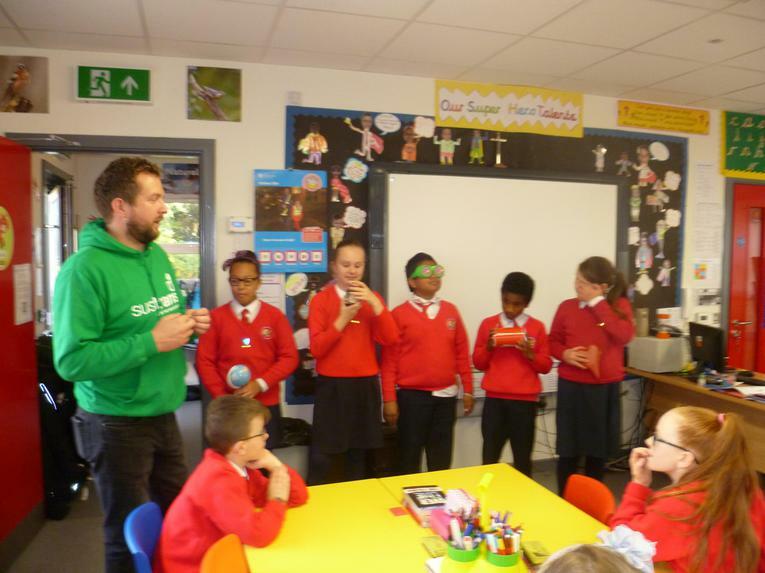 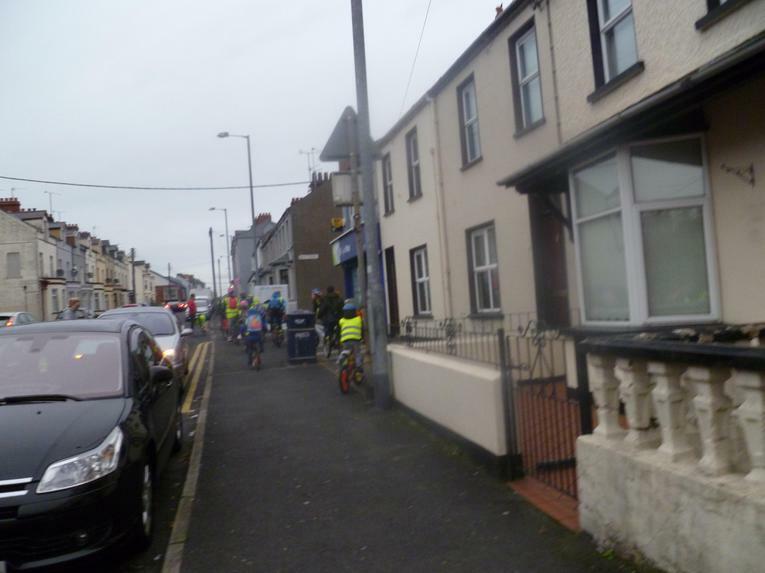 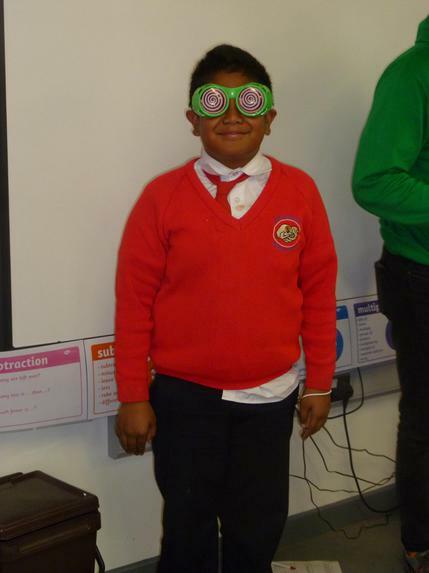 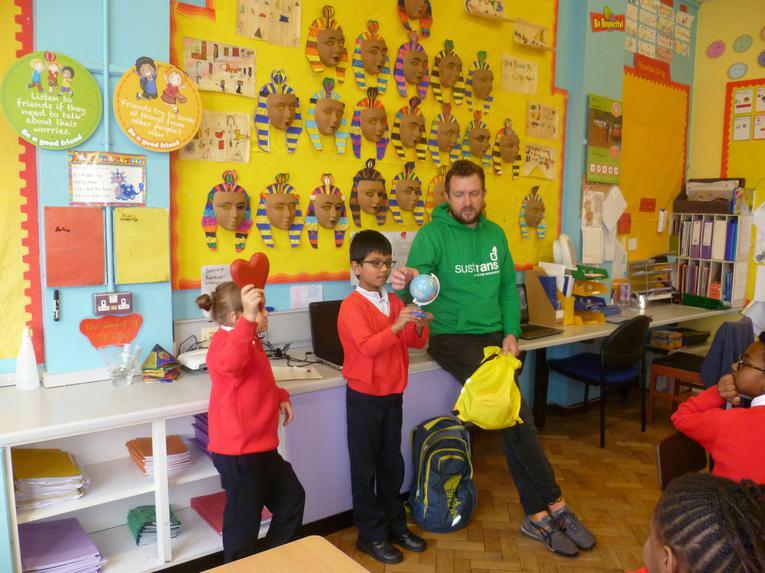 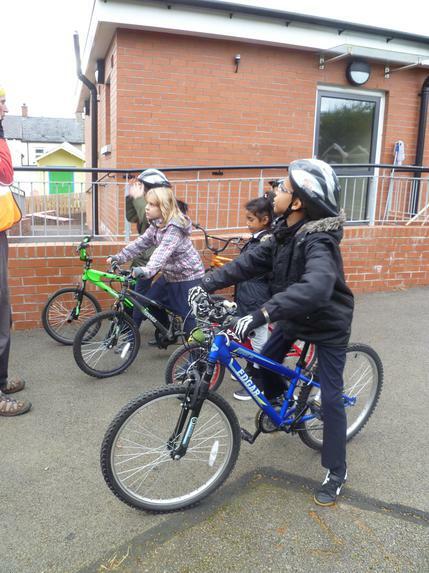 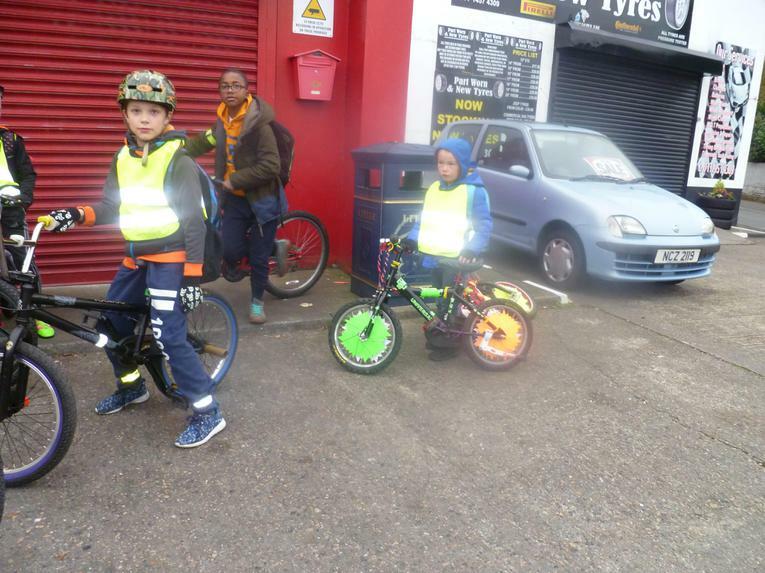 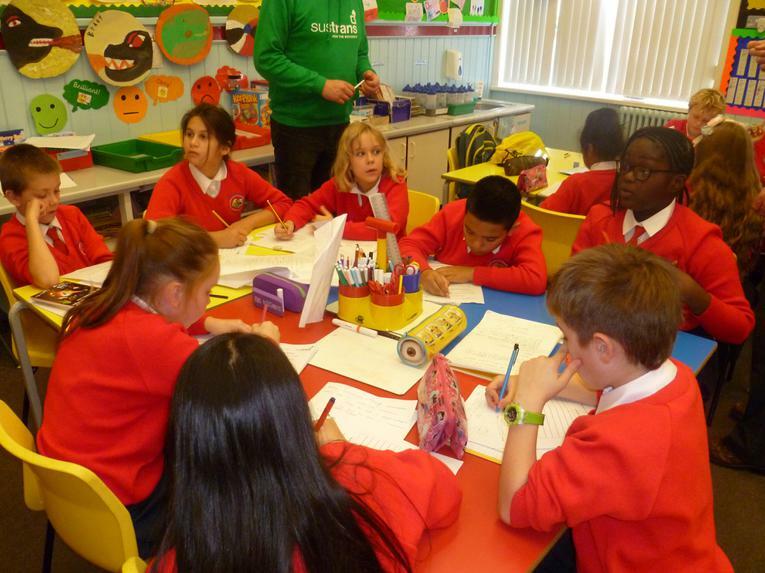 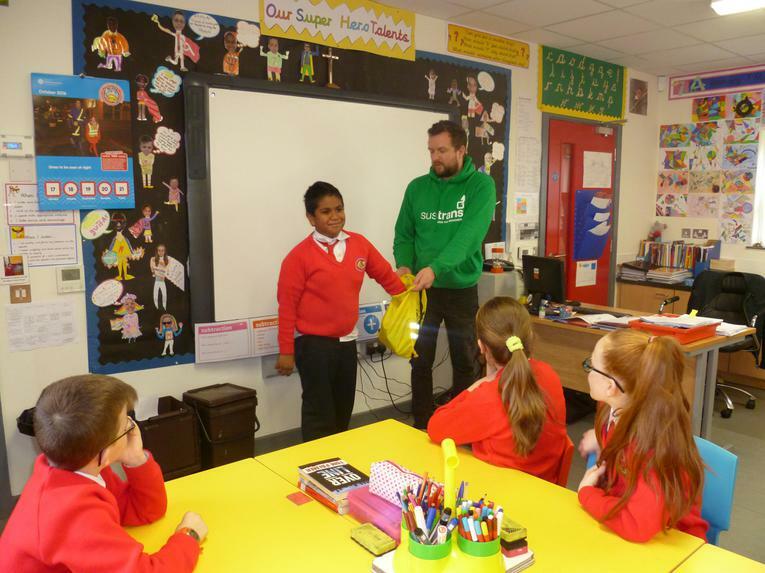 Sustrans Hands Up Survey - How do we travel to and from school?